VIEWING---THURSDAY 9:00 am - 1:00 PM - or we will be open at 8:00 am Friday Morning. Excellent Contractor Auction. 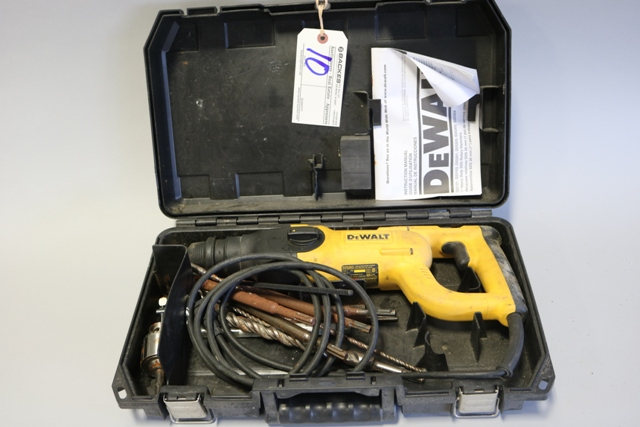 If you are general, electrical or plumbing contractor then you need to attend this auction! 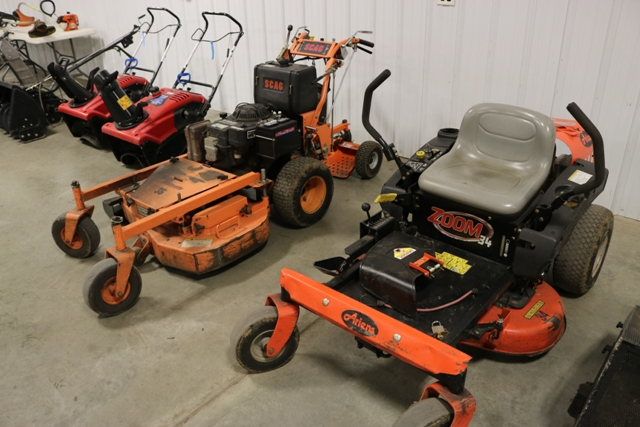 5 Service Vans - 2 Trucks - Enclosed trailer - Ditch Witch - Man Lift - Forklift - Large selection of electrical equipment, conduit benders, Ridgid Equipment - Large selection hand & power tools - great new inventory - office equipment - test equipment and more! 10% buyers fee. 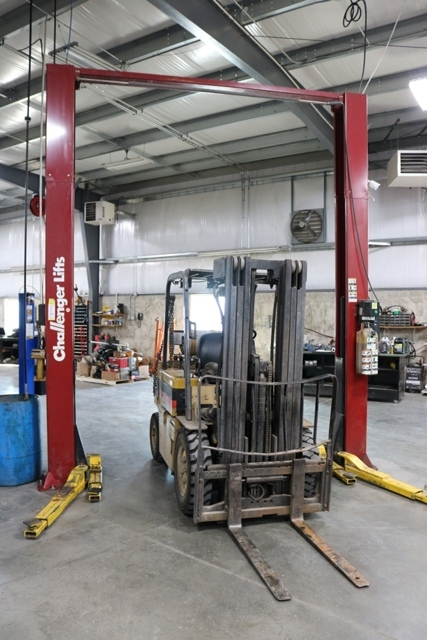 OFFERING 8 - 2 & 4 POST ROTARY HOISTS, HUNTER WHEEL ALIGNMENT SYSTEM, COATS TIRE CHANGERS & WHEEL BALANCER. EXCELLENT SHOP EQUIPMENT. MARK YOUR CALENDARS! 10% BUYER'S FEE. Live auction w/ Proxibid. 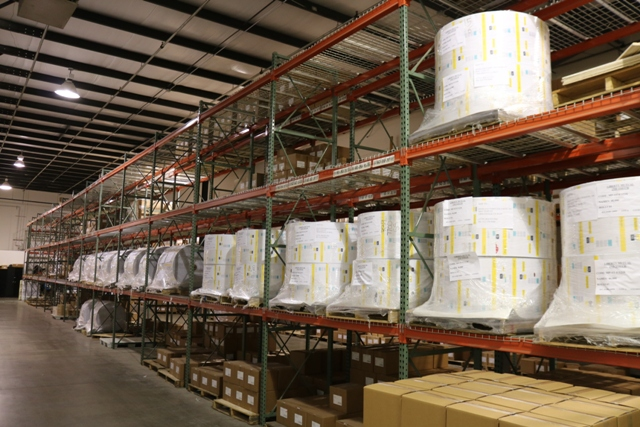 Complete liquidation of the 50,000 square foot facility loaded with excellent printing equipment. All equipment needs to be removed by July 15 if at all possible. Bring your trucks & trailers for fast removal. 10% buyer�s fee. F & P MACHING INC. Located behind Zimmerman Honda car dealership. 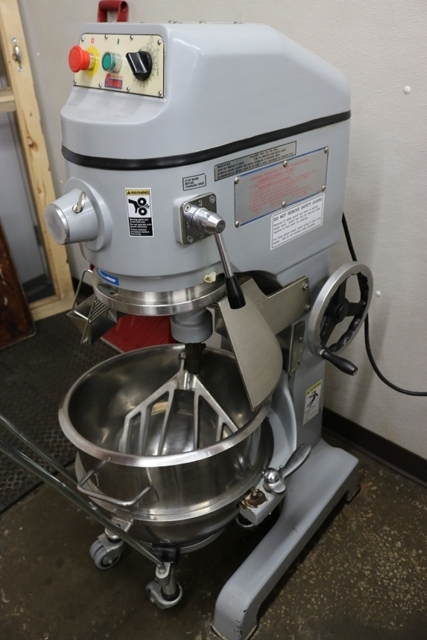 Great sale loaded with excellent clean equipment. Save the date! All equipment needs to be removed if possible by Sept. 29. 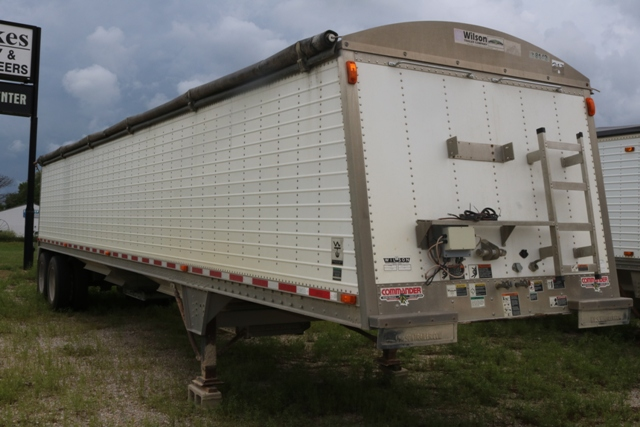 Offering 2 late model Yasda JigBorers! 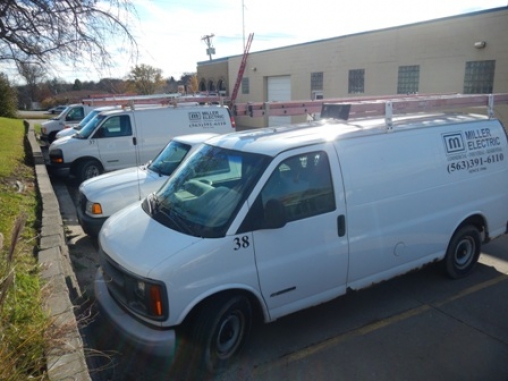 15% buyer�s fee In conjunction with SMC Company of Ames IA. Watch for signs. 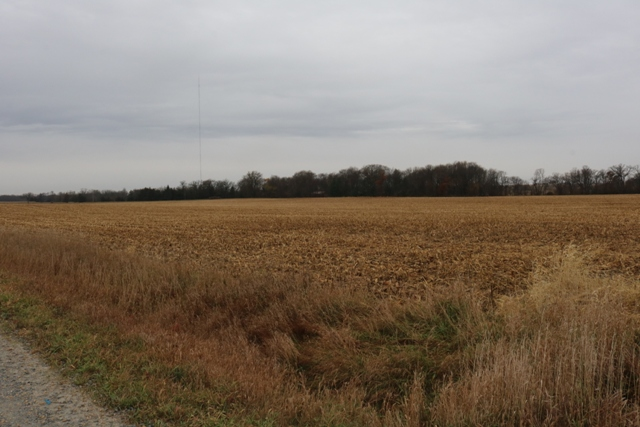 Auction to be held in back of field due to rolling hills. Great line of excellent, well maintained equipment. Low hours on most equipment. Save the date! Worth the drive from any distance. OPEN VIEWING: MONDAY DECEMBER 14 9:00 AM TO 3:00 PM. Complete liquidation of over $400,000 dollars in new parts inventory. Sold in large quantities. Mark your calendars! Selling everything wall to wall. 7% Sales tax applies to all purchases. Retailers please bring copy of your resale sax tax permit for exempt status. 15% buyer's fee on all purchases. Live Auction and Larger Items will have Online Bidding Available as well! Excellent line up of concrete and construction equipment! Make sure and mark your calendar as you need to attend this one! Truck - Trailers - Skid Loader - Telescopic boom Lifts - Sky Traks - Excellent line up of concrete saws, packers, mortor and brick related and more! ON-LINE ONLY AUCTION. Selling for secured creditors. 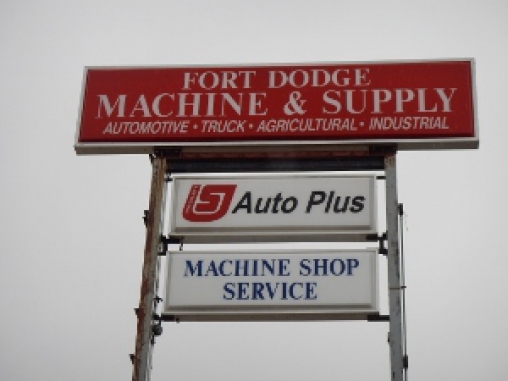 Complete liquidation of all remaining equipment and machinery from Fort Dodge Steel. Everything sells regardless of price. In conjunction with SMC Company. Viewing Friday April 1 & Monday April 4th from 9am to 4 pm. 15% buyer�s fee. NEW PHOTOS - Great line up of equipment! Complete liquidation of two construction companies. 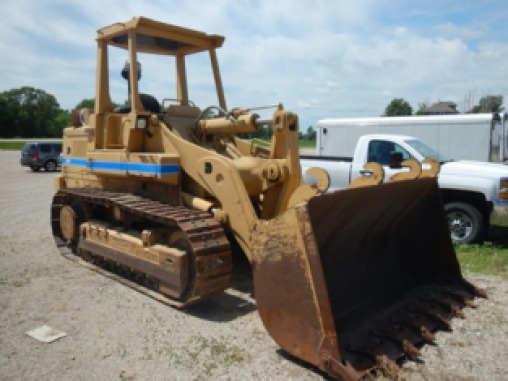 Offering a dozer, telehandaliers, forklift, trucks, trailers, concrete and masonry equipment. 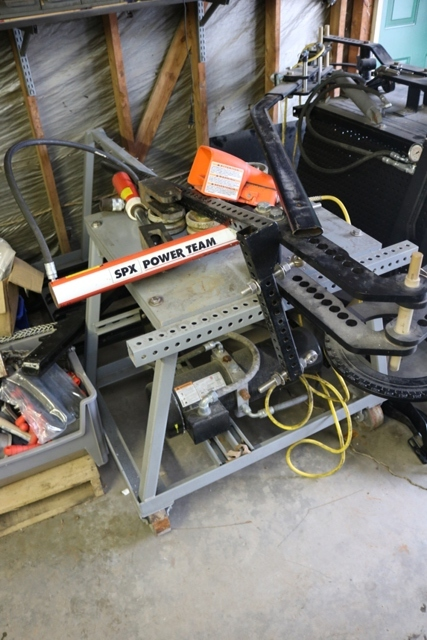 Selling some hand & power tools. Note the early start. 10% buyers fee. Selling for Secured Creditors. Excellent woodworking equipment and related items! 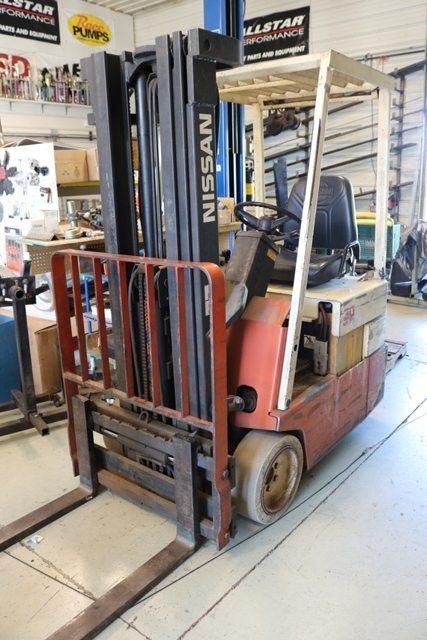 Featuring 2 Nissan forklifts - Fox cardboard baler - Good selection of table saws and miter saws - Dust collectors - 2 excellent Champion air compressors and more! Even a large inventory! 2 day removal only! 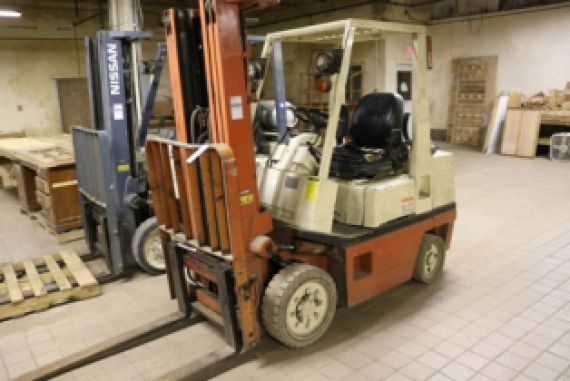 come prepared to load at ONLY a semi height loading dock! FORK TRUCKS TO STAY UNTIL SAT. NOON FOR LOAD OUT. 10% buyers fee. Only 110 lots! Be on time! 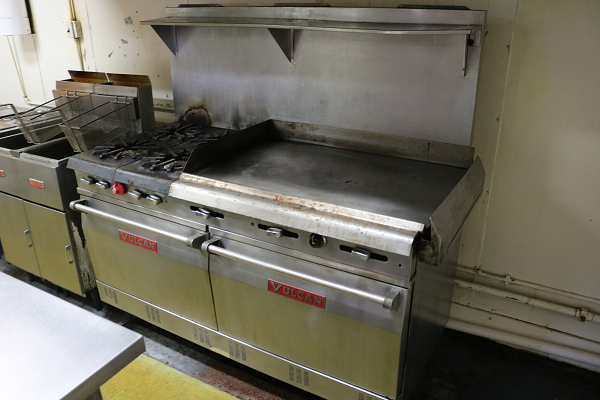 Come on out and bid what you want on all of this food service equipment! A smaller than usual auction due to the time of year but we are going to have a good, little auction for you anyway! 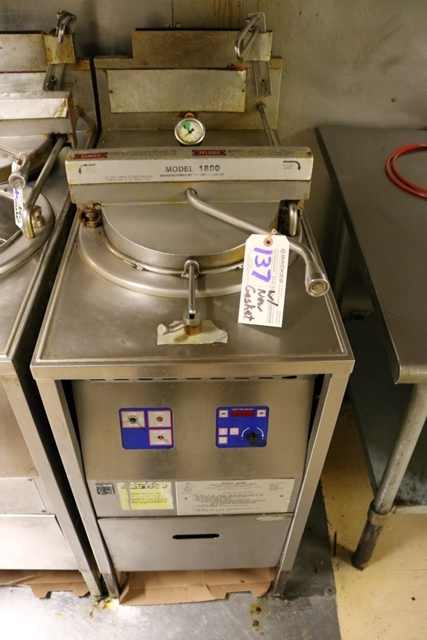 Stainless dough roller, Lincoln 1301 oven, Bunn double slush, 30 qt mixer, prep tables, grill line equipment, 10� stainless hood and more! Be on time! Less than a 200 lot auction! 10% buyers fee. 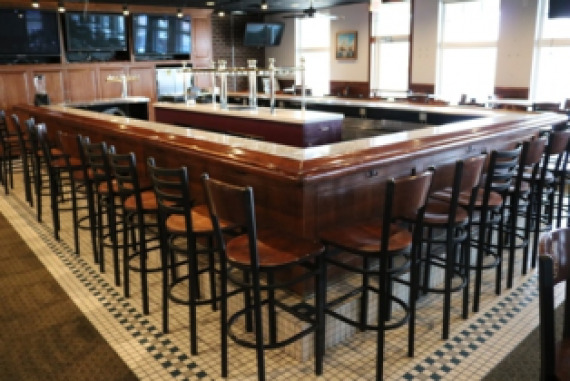 Complete liquidation of the 250-seat restaurant loaded with great bar & restaurant equipment. Come prepared to buy & carry. Everything sells regardless of price. 10% buyer�s fee. 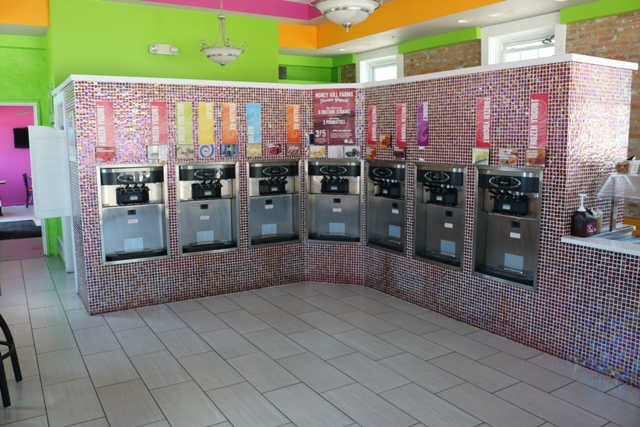 Complete liquidation of all remaining c-store & ice cream equipment. Make plans to attend this great sale. Short selling time so come early! No small wares. 10% buyer�s fee. 40+ new pictures just added! Look at the quality! WOW - THIS IS A GOOD ONE! 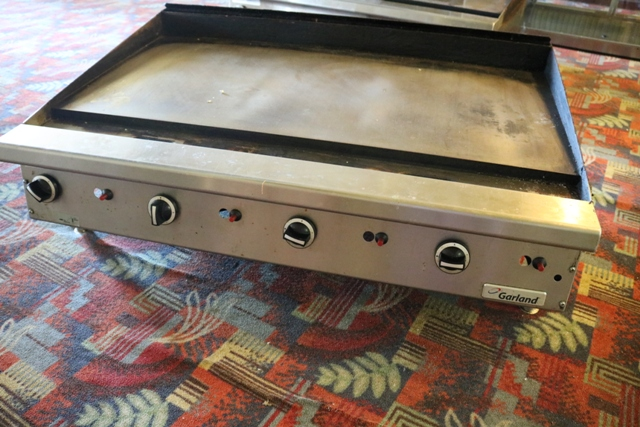 A 4 month old restaurant closed and has brought in their grill line, bar and support items plus some top of the line late model equipment has been added for one FANTASTIC Auction! DO not miss this one! 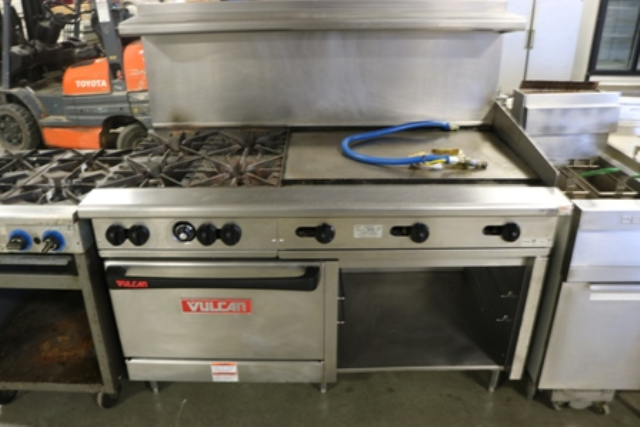 Vulcan grill line - Hoshizaki equipment stands and refrigeration - Nice convection ovens - Smoker - Cook and Hold - good line of bar equipment - 2 slicers - 2 Vacuum Packs and more! 10% buyers fee. Sales Tax Applies. Another FANTASTIC AUCTION! Barmuda auction including DJ equipment - Plus one year old Hurricane Grill & Wings from WDM including. 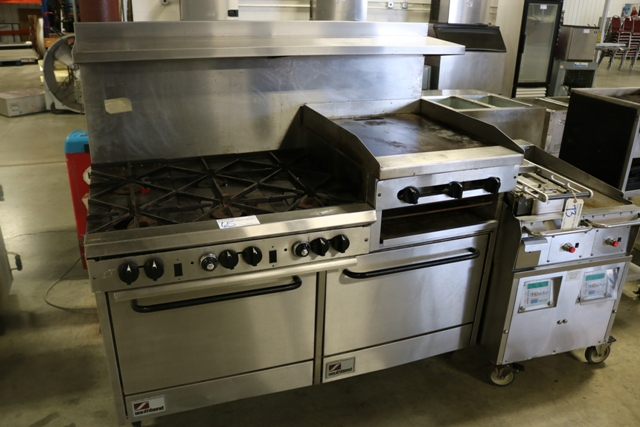 To Include: DJ, Sound and Lighting equipment - Incredible one year old Grill Line with a 5 Bank $32,000 Pitco fryer - hi end South Bend custom ranges - Star Ultra Max flat and char grills with 2 Continental refrigerated equipment stands! 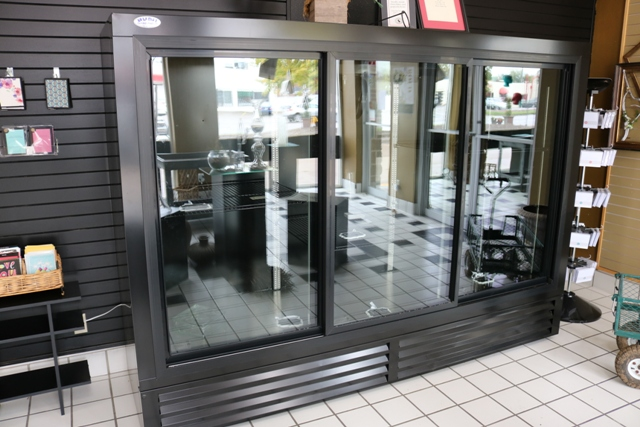 Also we have 2 hood systems - large assortment of bar seating - coolers - 3 door glass freezer - and more! 10% buyers fee. Large items will have online bidding as well! This facility has been purchased and the new owners will transform the entire facility and have no use for all this banquet, food service, bar and office equipment! This will be a large auction! 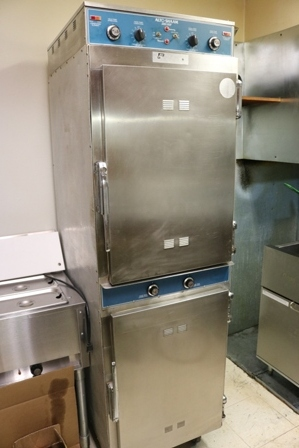 Full grill line featuring: 2 Captive Air hoods - 4 Walk in Coolers/Freezers - nice refrigeration - full service bar with equipment - 3 beautiful 8' portable bars - large seating and chair package - staging - 12' aquarium - office furniture and more! Mark your calendars for this! Look for detailed list with hundreds of pictures next week! Pat attention to some great items! 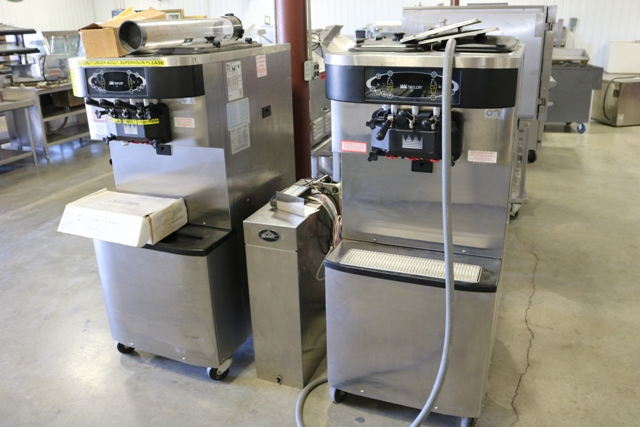 2016 Ice cream machine plus 2 Taylor ice cream machines - 2 Nice Impinger conveyor pizza ovens - 3 dough rollers - 2 Hobart mixers - Good dining chairs - booths - 12 prep tables and so much more! Take a look for complete list! 10% buyers fee. Sales tax applies. 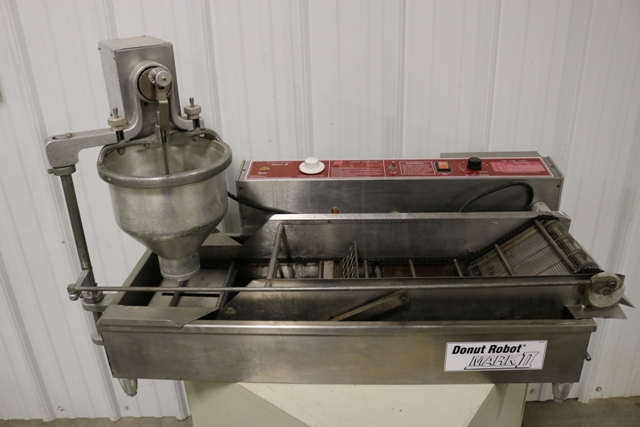 Owners have decided to close this location and will be offering all of the following equipment at public auction! Going to be some great buys so mark your calendar! Featuring a Taylormate twist soft serve - Middleby Marshall ovens - Carroll Coolers walk in cooler/freezer - dough roller - refrigeration - seating and more! 10% buyers fee. 2 Locations - 1 online auction! 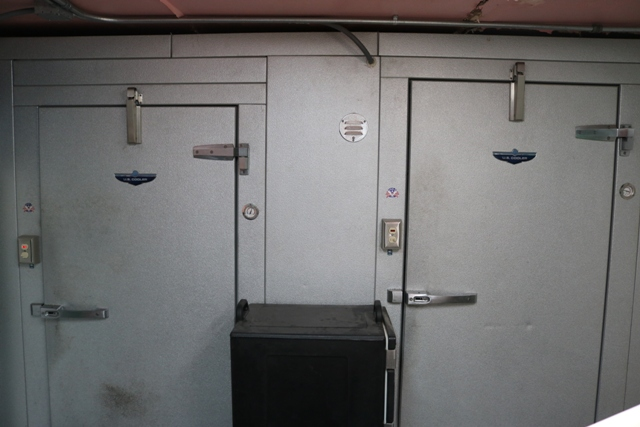 We will be offering at an online auction only - the contents from these 2 closed locations. 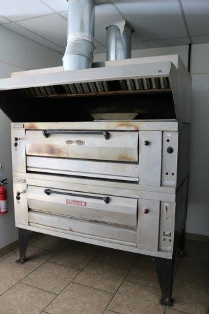 A complete Paul Revers Pizza which includes all of the equipment and then the equipment remaining at the Sun Mart Foods next to this location. 15% buyers fee. All equipment must be removed by Sunday April 1st. No Exceptions. 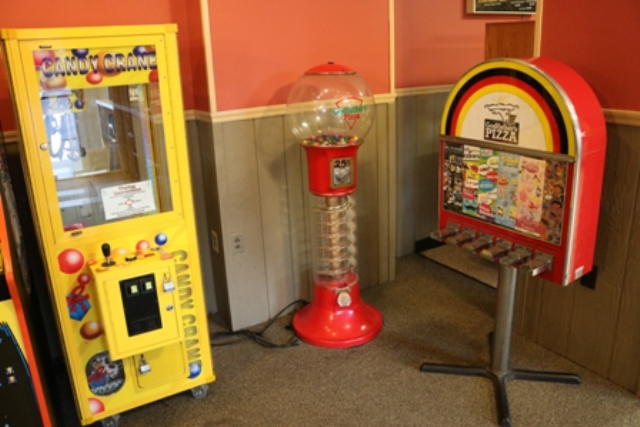 PLEASE NOTE: The Juke Box - The Bowling Game and the Crane HAVE BEEN REMOVED FROM THE AUCTION as they were leased items. Hey - Mark your calendars for this one! There will be some interesting items! 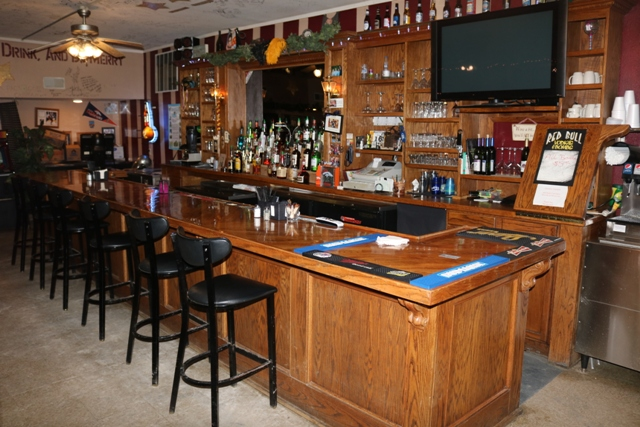 Original 1951 Back Bar - Double Auto Fry - Bar tables & chairs - bar equipment - Arcade games - Juke box and more! 10% buyers fee. Ladies and Gentlemen! Announcing the Upcoming Auction Event of a One Family Lifetime Collection of Collector Trains, accessories and even publications!! The family has been collecting since the early 1960's and 75% of this collection came from the East Coast! You must mark your calendars for this amazing event! This will be a LIVE auction with ONLINE BIDDING available. All of the pictures shown are general overview pictures until we get a correct and accurate list of each item and sets of items. Take note! 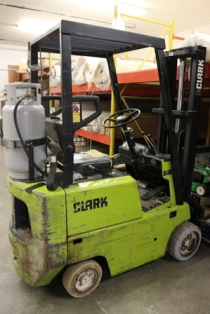 Offering a nice fork lift with recent service work - a nice delivery truck - carpet and vinyl roll rack - hand and power tools - flooring tools - JD lawn mower - over 50 rolls of carpet - hardwood and laminate flooring - ceramic and tile flooring - carpet pads - 7 sections of pallet shelving & more! 10% buyers fee. Sales tax on new inventory only. MASSIVE AUCTION! 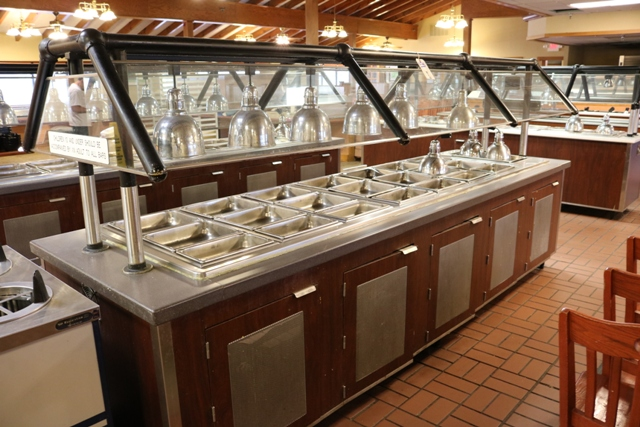 THIS MAY BE THE LARGEST 2 DAY OFFERING OF FOOD SERVICE EQUIPMENT IN DECADES! Be Prepared for some great deals! 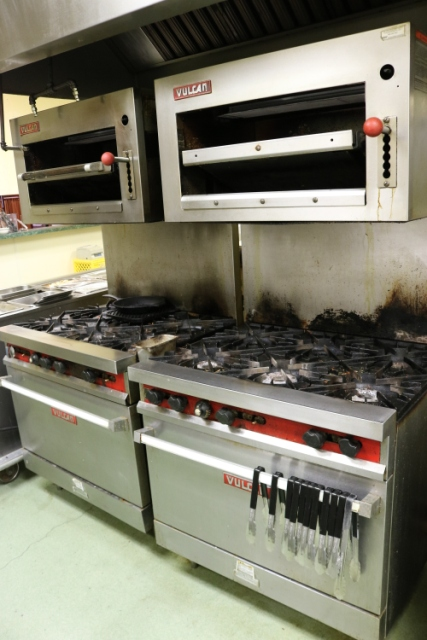 Jaks Restaurant Equipment has decided to completely start over and needs to liquidate all of this equipment! Most of the larger items are already on pallets and ready to be shipped! All items have been checked before going to the auction block! 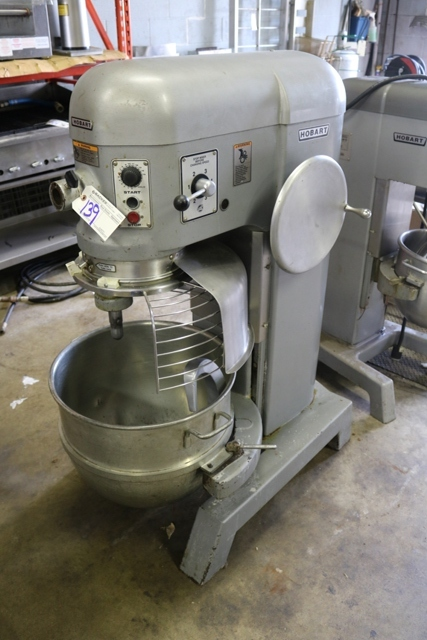 8 mixers - 3 dough rollers - 10+ convection ovens - Pizza ovens - grill line - concession equipment - huge day 1 auction! 10% buyers fee for Live auction and 15% Buyers fee for online. 7% sales tax applies to all purchases. 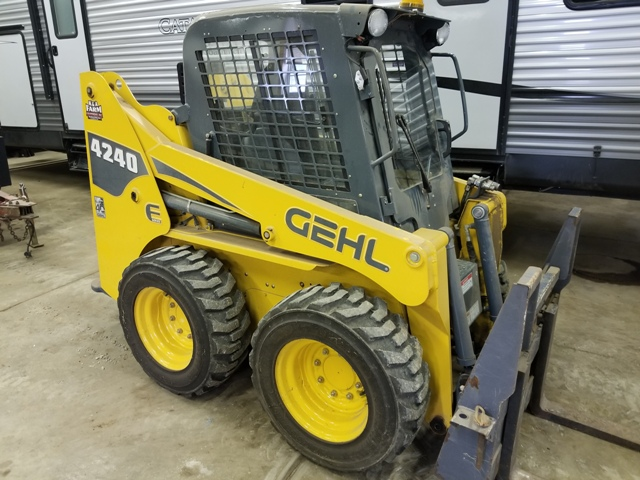 Selling in Raymond, Iowa - Equipment is located off Exit 245 in Jesup, Iowa! Day 2 has large equipment only and will be held at Backes Auction Center by Power Point Presentation! 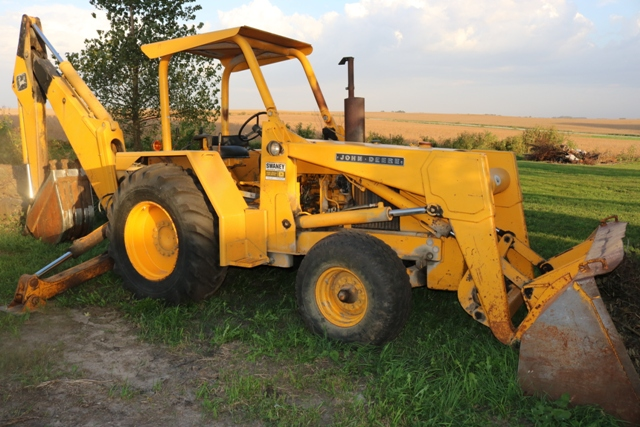 Be sure to get to Jesup, Iowa and view the equipment first - then come to Raymond, Iowa to bid! The warehouse in Jesup is so full that we cannot sell there. Call for Viewing - Viewing will be Sunday, April 23rd from 12 pm till 4 pm and during the day on Monday, April 24th. 10% buyers fee for Live auction and 15% Buyers fee for online. 7% sales tax applies to all purchases. The owners have decided to close this facility and auction off all the remaining assets and related. 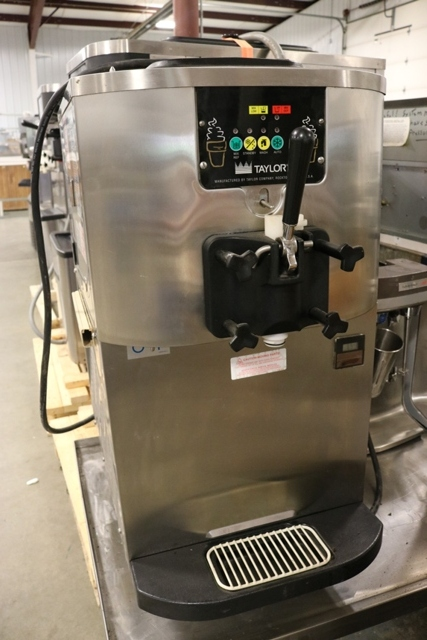 This auction features a 2012 Broaster 1800GH pressure fryer & a 2007 Taylor Crown twist soft serve machine with Flavor burst - both in fantastic condition! 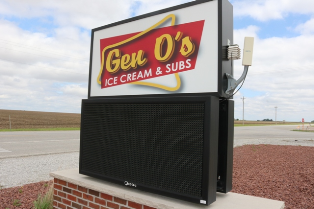 Also we will be offering a 2 panel digital outdoor reader board! Come on out and bid what you want! 10% buyers fee. Live & Online Bidding! Owners have decided to close this location and offer the following list of assets at public auction. This is a rare opportunity to purchase this type of fantastic family fun center equipment! 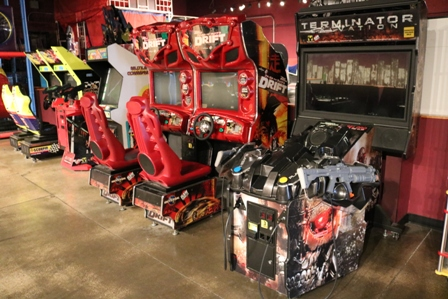 From rock climbing walls to indoor playground to trampolines and bumper cars to video games and redemption games! 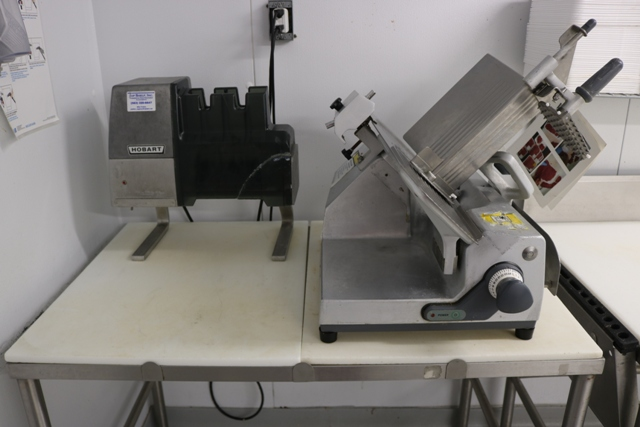 Even a great line of pizza equipment and related items! 10% buyers fee. 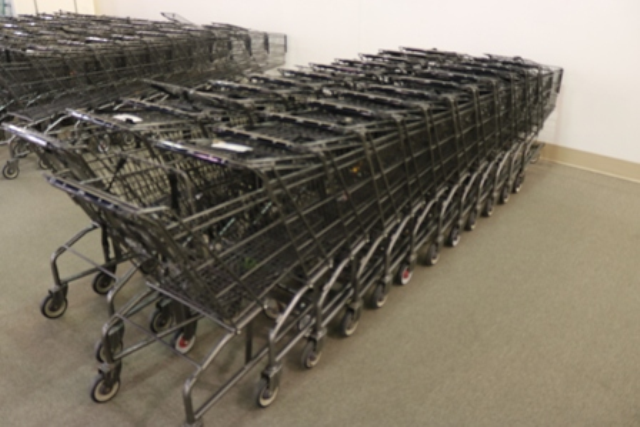 Complete liquidation of this 32-lane facility loaded with equipment. Save the date! 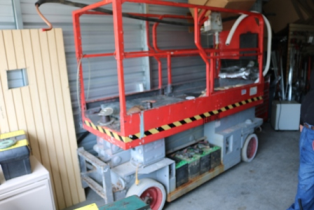 Rare opportunity to purchase this equipment at auction prices. It all sell regardless of price. Illinois License - Rod Backes 444.000208. 10% buyer�s fee. 15% Buyers Fee for on-line purchases. This is only a 45 minute auction BUT it is ALL NICE! 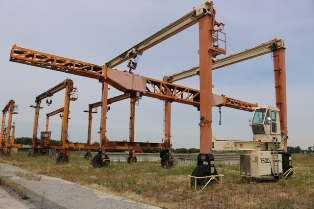 The owners have decided to close this facility and offer the following at public auction. The equipment on this auction is all first class! 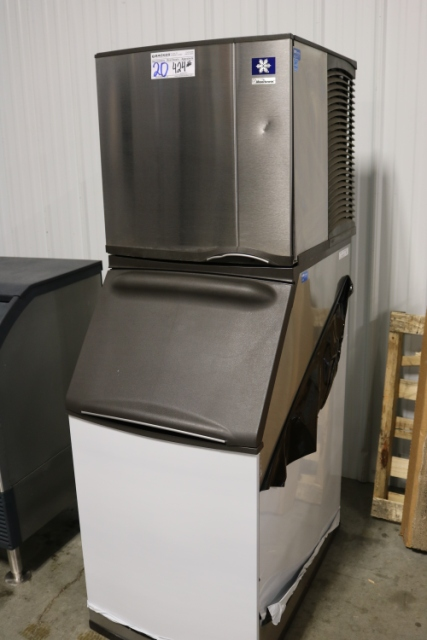 Excellent stack chairs - bar stools - like new bottle cooler - Alto Shaam 100TH-I cook and hold - Imperial 36" range - Henny Penny 500 fryer and excellent True 2 door freezer! 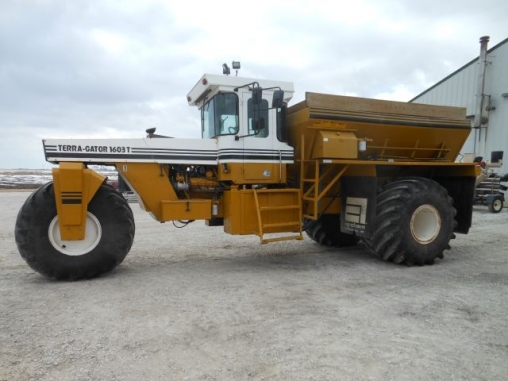 IF YOU CAN'T MAKE THIS AUCTION - we will be accepting absentee bidding as this is the equipment you are looking for! 10% buyers fee. ALL NEW PICTURES! 2 Trailers showed up today! Lots of unadvertised items! This is an awesome auction! Only 250 lots! Come on out and take a look at this smaller, but nice offering of equipment! A bit of everything but should be a fun little auction! 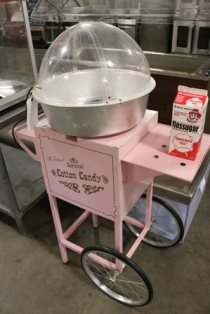 From cotton candy and popcorn to skee ball and redemption games to catering and restaurant and then 4 Hi Dollar gorgeous buffet bars! 10% buyers fee. Sales tax applies. Building was sold. 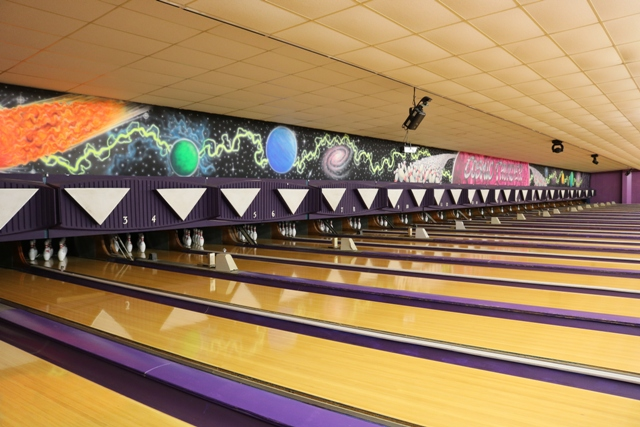 Complete liquidation of this 16 lane bowling center loaded with bowling, bar & restaurant equipment. It all sells regardless of price. Selling wall to wall. Mark your calendars! Save the date. 10% buyer�s fee. Owners have lost their lease after 3 months and must vacate the property before the end of May! There are going to be some huge deals on this short notice auction! Excellent Matrix island and wall shelving � large walk in freezer with new compressor � 10 glass door walk in cooler � grocery related � plus coolers, freezers and restaurant equipment! Everything removed by Sunday May 28. 10% buyers fee. 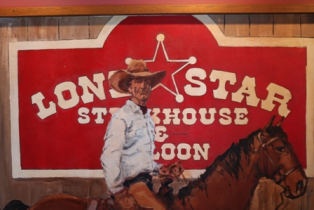 Lone Star has closed and Landlords have leased the property and do not have the need for any of the following assets � and it is full! A great solid oak seating package with good booths as well as complete grill line, refrigeration and bar equipment. Nice D�cor! Immediate removal requested. 10% buyers� premium. Live & Online Bidding. This auction is fabulous! Most equipment bought new in 2014 and they were only open 2 years! 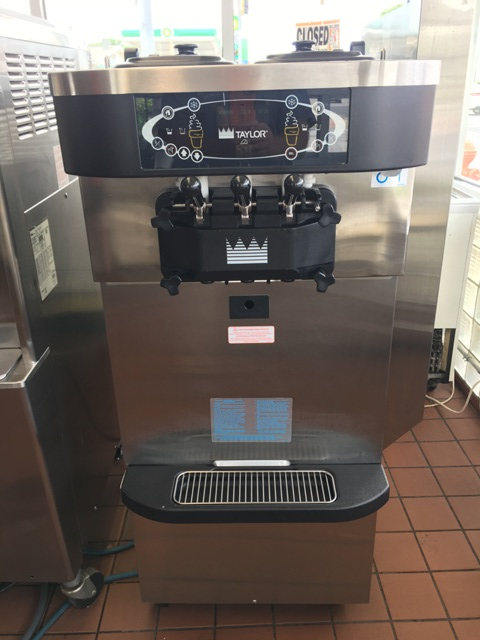 Taylor Crown soft serve with Flavor Burst - 1600 Broaster - Double Panel Digital Reader Board - Walk in cooler/freezer - and so much more! You MUST mark your calendars! 10% buyers fee. SHORT NOTICE AUCTION! Limited Advertising! It all has to sell and there will be some amazing deals due to the short advertising! Very nice walk in cooler and also a walk in freezer! Plus a Captive Air 10' complete hood system. Over 80' of Lozier island shelving and 80' of wall shelving. Refrigeration and grill! 10% buyers fee. Removal must be completed by June 30th. Several Trailer loads have already been committed! 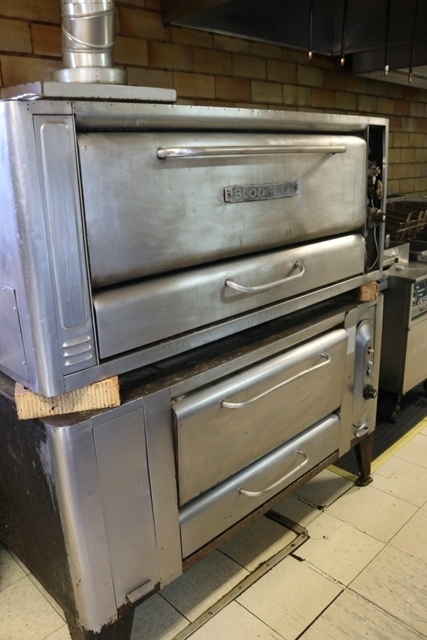 Great line of refrigeration and pizza equipment plus grill line related items! 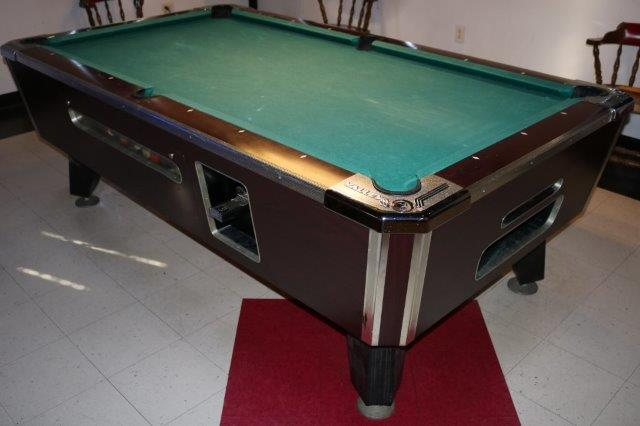 Pool Table & Dart board just added! Check back for complete details. More pictures coming next week. We have been commissioned to sell the following assets for the Arnold Paulsen Estate. A good lineup of acreage tractors and trailers with several vehicles. Good line of hand and power tools as well as some collectibles and toys! A Good Saturday morning auction! Check back for details! Live & Online Bidding will be made available. 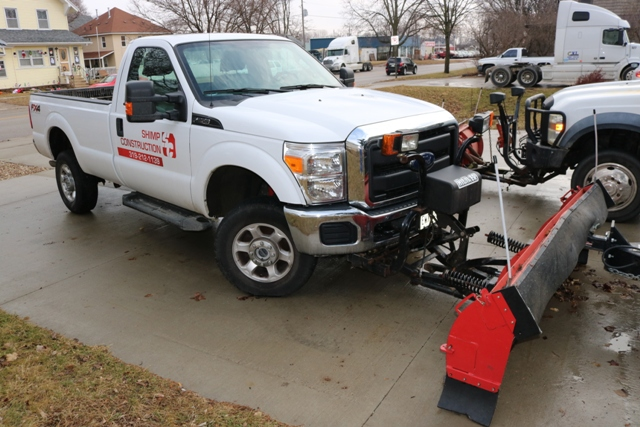 In conjunction with Smith Machinery Corp of Ames, Iowa. This is a huge auction featuring some rare and excellent items. 4 portable gantry cranes - 3 HD rear steer trailers - 4 Bridge Cranes - 15+ flat bed and extending trailers - semis - trucks - JBL lift - end loader - concrete plant - convenience store and gas storage tanks - thousands of feet of forms - concrete trusses - concrete retaining block - shop equipment and so much more! Check back each week for new details. 50 new pictures just added! This is a nice line of equipment folks! 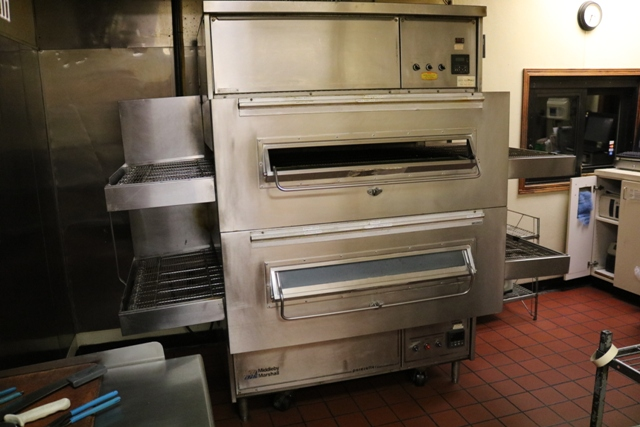 Nice Vulcan range - Dean fryer with filter system - Broaster - 3 ice machines - cooler & freezer - 3 convection ovens - 2 dough rollers - 2 pizza ovens - nice line of stainless tables - prep tables - good bar stools and dining chairs and more! 10% buyers fee. Sales tax applies. THIS AUCTION HAS JUST BEEN POSTPONED! Gander Mountain Store will probably sell in the first part of November with the Gordmans store later that month! Keep posted on this! Sorry for the inconvenience! Take Note! 4792 sq ft commercial building in excellent condition. Building has 3 overhead doors. 7% buyer's fee applies to sale of real estate. 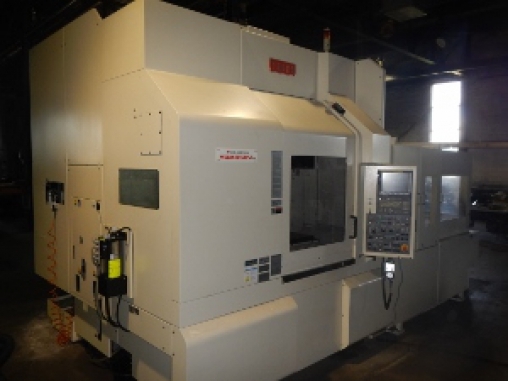 Selling all remaining shop and parts inventory to include: 2 Logan metal lathes. Lap diamond shape & Concentric wire winders. Hand & power tools. 40+ sections of parts shelving! 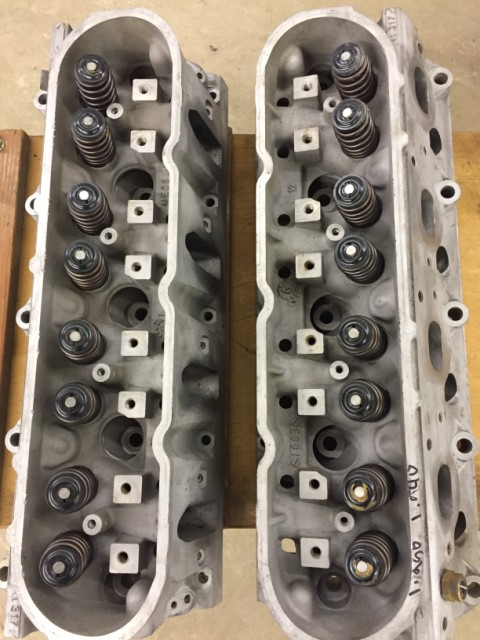 1000's of dollars in new parts inventory. 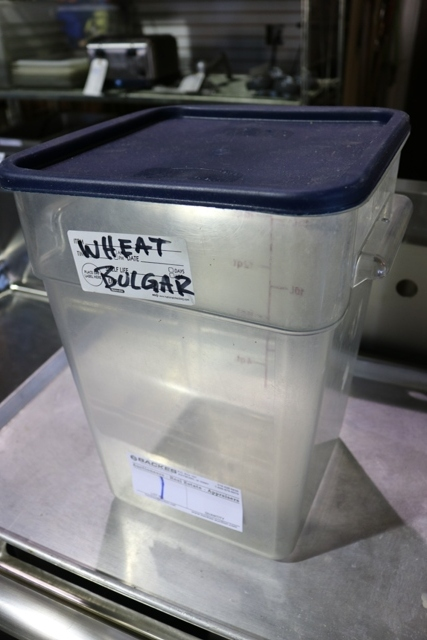 Bring your own boxes and totes for inventory. 10% buyer's fee. 7% sales tax on new parts inventory only. Bring copies of your resale sales tax permits for exemption. Excellent Auction for the Outdoors Person! Owners have decided to close this location and will offer all of the following at public auction. Great selection of items to be sold in larger lots so come prepared to buy! 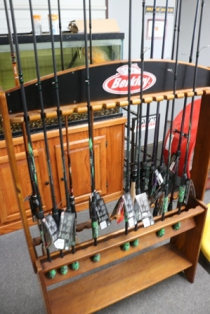 Nice line of fishing poles, reels and lures, bow hunting related items, clothing, scopes, trail cam, boating and outdoor motor supplies and more! View all the pictures at www.backes-auction.com 10% buyers fee. Sales tax on new inventory. AEA has moved into their new facility and have a massive amount of assets to sell! This is Day 1 of 2 auctions. 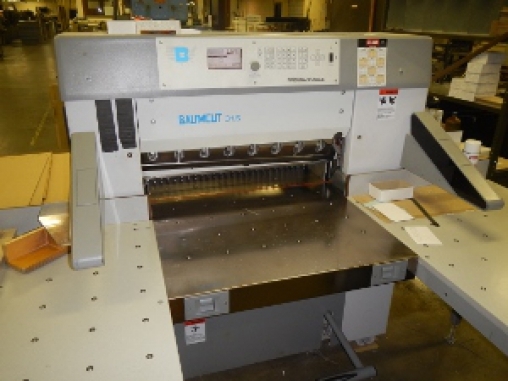 This auction has a huge selection of excellent office, conference and printing equipment. This auction features newer conference room equipment with over 100 tables and over 200 chairs - great selection of office desks, chairs, file cabinets, office cabinets and more - 4 large capacity Canon Imagerunner copiers, joggers, folders and related - 2 high end Active Boards - Epson LCD projectors - monitors - cubicles and some maintenance equipment! 10% buyers fee. Please share this with your local schools or churches as this is an incredible way to save your district money while buying some nice assets. This is Day 2 of this massive auction! 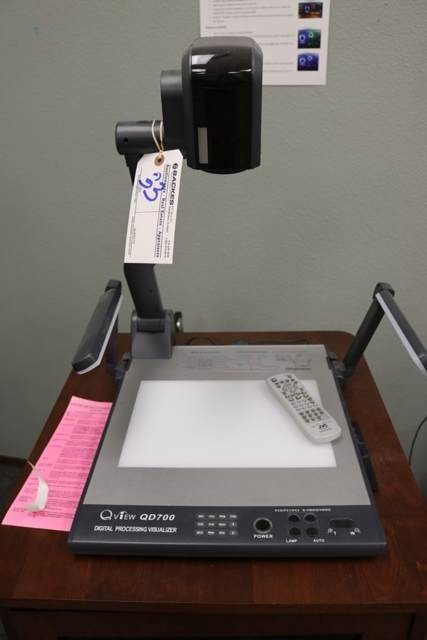 This auction features almost 500 lots of office equipment. There are hundreds of file cabinets - desks - chairs - cabinets - complete offices - LCD projectors - Polycom systems - portable audio cabinet - break room - Canon Imagerunner copier - 4 smaller nice copiers - and so much more! 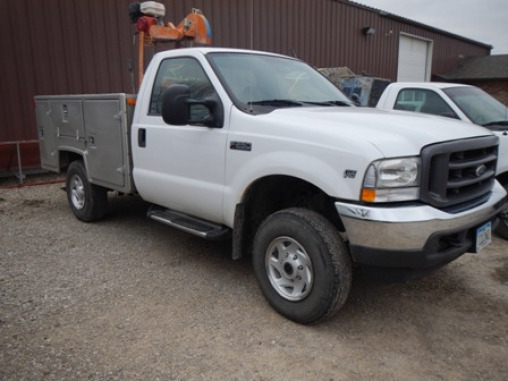 Viewing for this auction will be Saturday, September 30th during the Day 1 auction. Make sure and share this with your schools - booster clubs - churches or anyone that owns a business! 18% online buyers fee. Online Auction Only. Take note of this short notice auction! 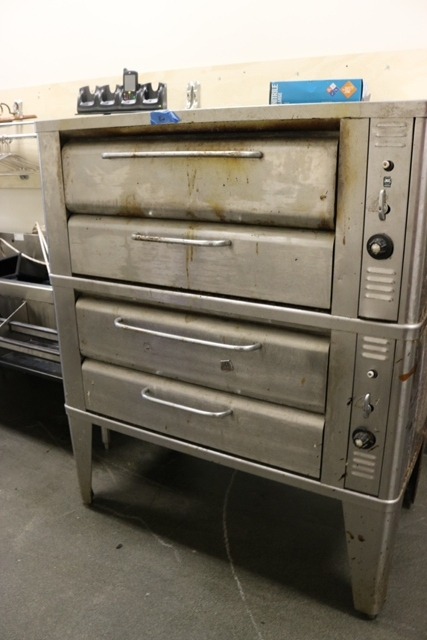 This auction features some nice prep tables, 3 pizza ovens, POS register system, NICE Hobart 30 qt mixer and then all of the small wares. There will be some great buys on this auction to make sure and register and leave your bids! 18% buyers fee. Live & Online Bidding. WOW - Opened in 2014 with all new equipment! 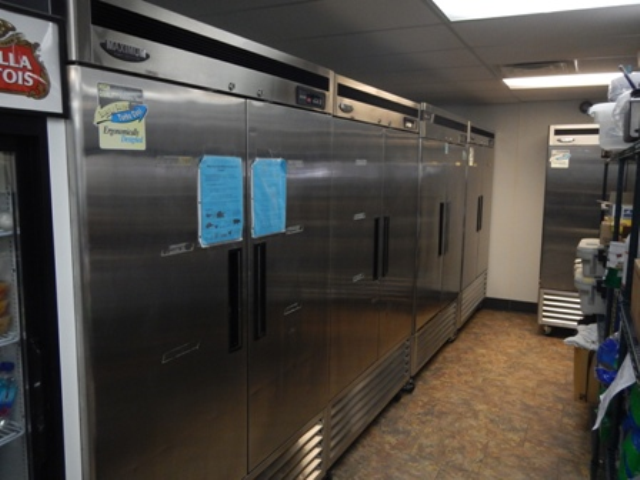 Here is an amazing opportunity to bid on and buy late model Taylor machines and refrigeration! 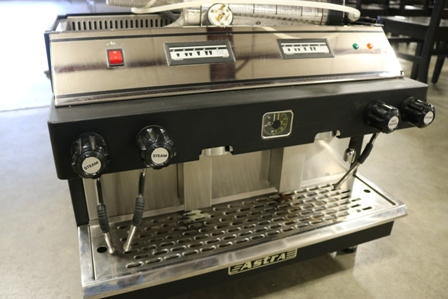 There are 7) 2013 Taylor C723-27 air cooled single phase machines - prep table - 2 & 3 door coolers - seating and more! It all has to sell regardless of price! Going to huge savings! 10% buyers fee live & 16% online. SHORT NOTICE AUCTION! This auction is large! Located in Jordan Creek Mall by the Theatres on the South Side. Featuring a high end bar area with all Glastender equipment with 5 bottle coolers, cocktail staions, 2 Island Oasis machines, bar chairs, stools and tables, cherry seating, 15+ LCD TV's, large full service grill line, DJ booth and all the support items! 10% buyers fee. WOW - This store was reconditioned in 2011/2012 with LED lighting installed in all cases last year! 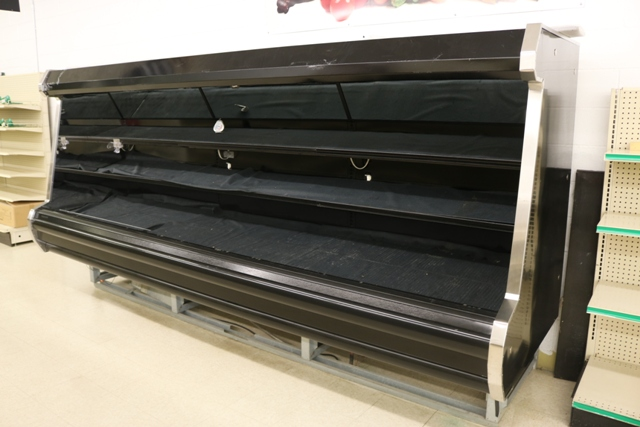 Great opportunity to bid on and purchase some excellent refrigerated cases and beautiful walk in's - nice meat department, shelving, cardboard baler and more! Also 4 nice checkout lanes and POS register system! 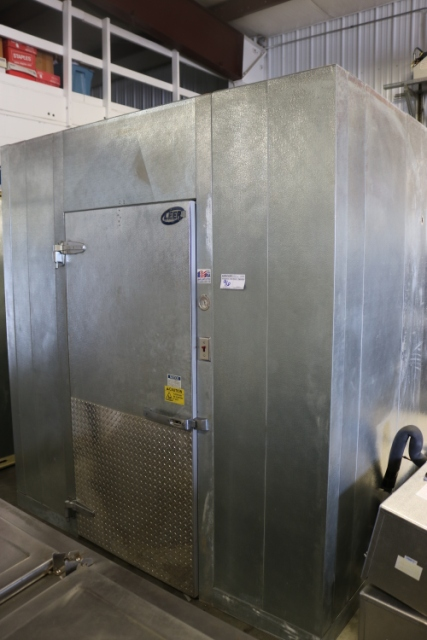 If you are looking for large walk ins - here you go as well as 2012 Tyler compressor rack! 10% buyers fee live and 16% online. Huge Offering! 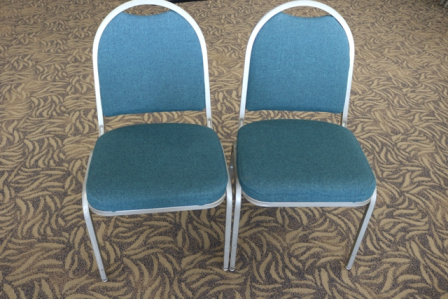 Prairie Meadows needs to sell a huge amount of seating! So get registered today and start bidding on this incredible opportunity! Featuring over 1,200 matching stack chairs - 100+ tables - bar tables and chairs - lounge seating and even 2 portable bars! We will have quantities in number you can use or buy them all! 18% online fees. Live Auction with Online Bidding! WOW - This is the George McCord Collector Train Auction from Cedar Rapids, Iowa. 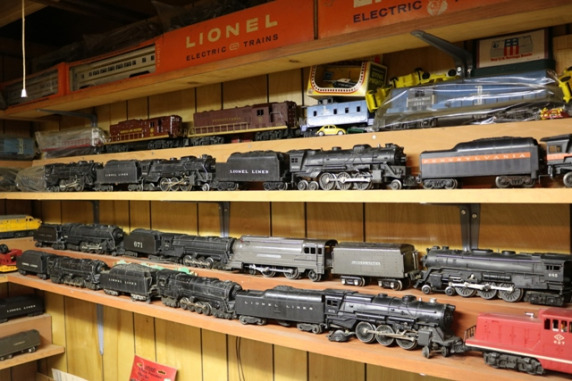 This collection features quite a variety of train related items. Featuring Lionel - Marx - American Flyer - Weaver - Athearn and more name brands. Quite a selection of complete sets. 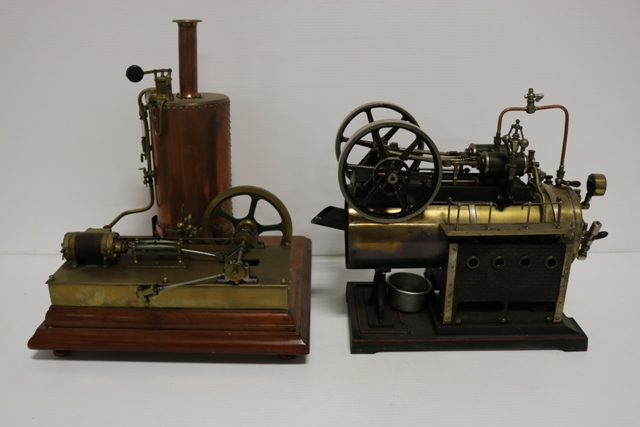 Pre war and post war is present - Gauges: G - HO - O & O27 - plus an amazing collection of brass steam engines and brass whistles and also Brass Trains! 10% buyers fee live and 16% online. 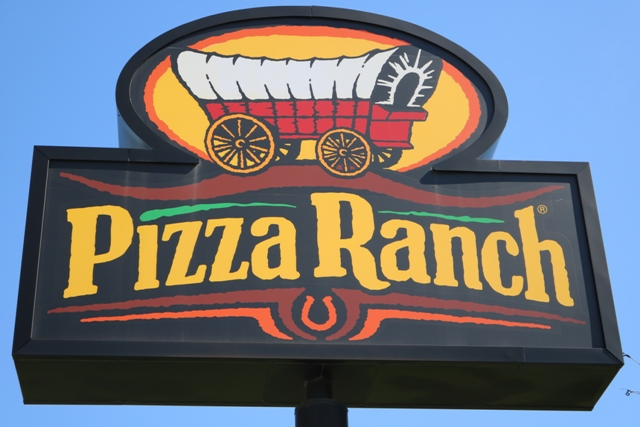 Owners have decided to close their full service pizza store and have commissioned our company to sell the following list of assets in an online auction format. Register now to start bidding with the first lot ending on November 14th at 4 PM. 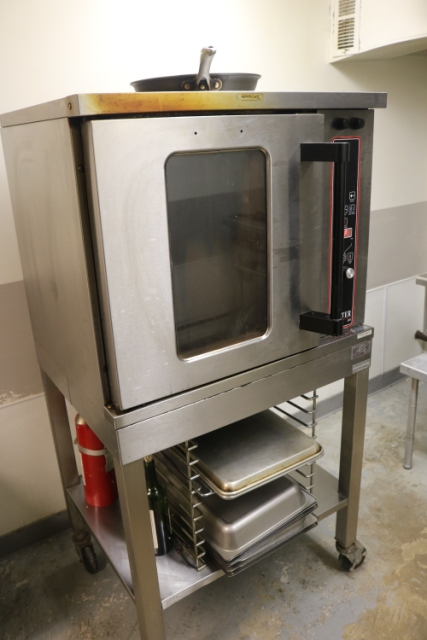 Featuring: Pace Setter 360 conveyor ovens, Hobart 60 qt mixer, vending & games, good seating package and more! 18% online buyers fee. 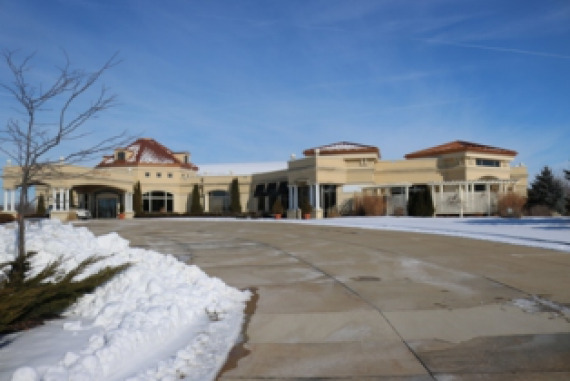 WOW - This auction was built around a fabulous 2 year old restaurant from Des Moines area! 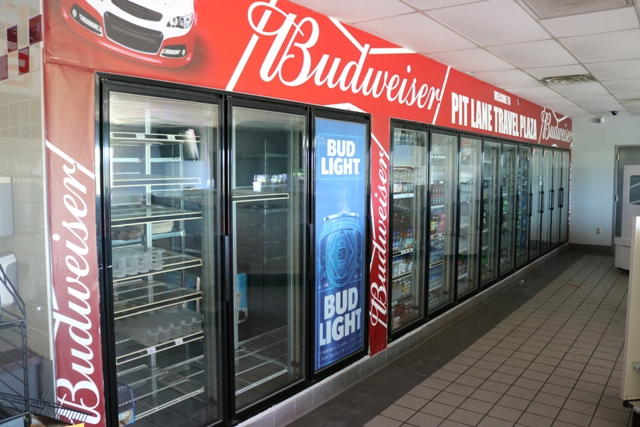 Featuring an awesome walk in cooler, grill line, bar equipment, bar seating and dining chairs, pizza equipment, cappuccino and coffee equipment and so much more! Make sure and take a look at the complete list as there are huge amounts of big equipment! 10% buyers fee live and 16% online. Sales tax applies. Just added 100 more pictures! We still have over 100 more signs coming in! Going to be a great auction! Amazing lineup with a Tron & Space Invaders Video Games - Pinball game - Juke Box - 2 amazing 19th Century Hunt Cupboards and more! Keep checking back for updates as details as the signs keep coming in! Advance notice of this fantastic facility! 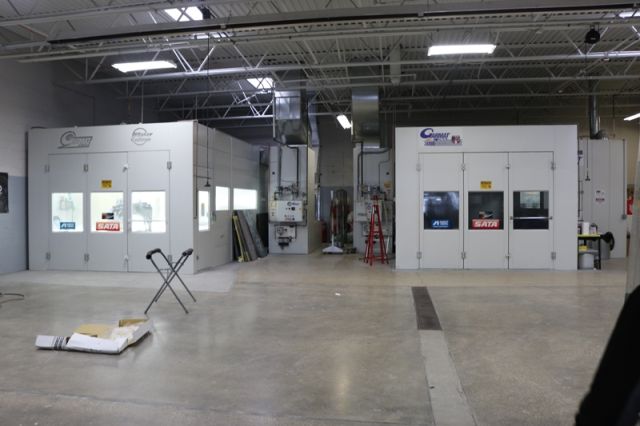 Featuring 7 Taylor 2010 water cooled machines! 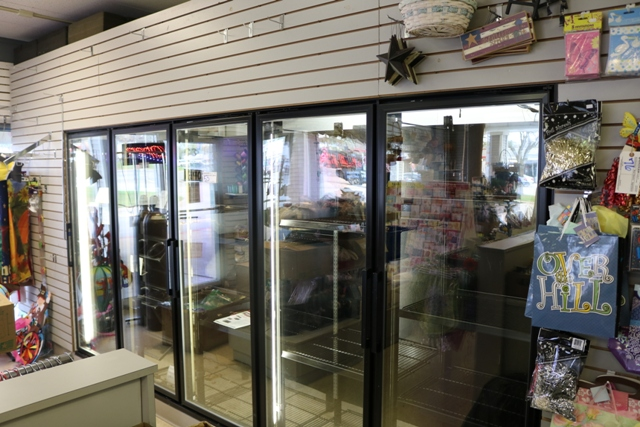 This shop has some excellent 2 & 3 door coolers and freezers as well as prep table, dip cabinet and related items! Even some nice modern seating! Check back this week for details! 2 Days of selling stock car parts and more! Friday the auction starts at 6 PM and will run to somewhere between 10 and 11 PM. Then Saturday we will start at 9 AM and sell until we have it all sold!! NOTE: somewhere around 1 PM Saturday we will be offering for the first time the chance to bid online with the live auction. 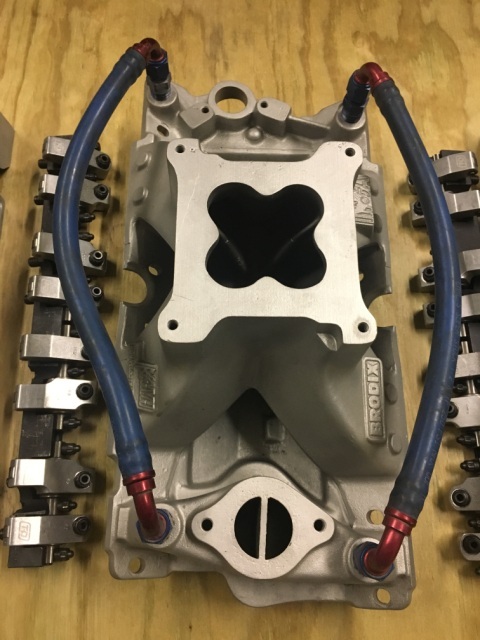 They will be featuring around 150 higher end parts and motors for you to bid on. Just in time for Holiday Shopping! What an amazing lineup just in time for your holiday shopping! 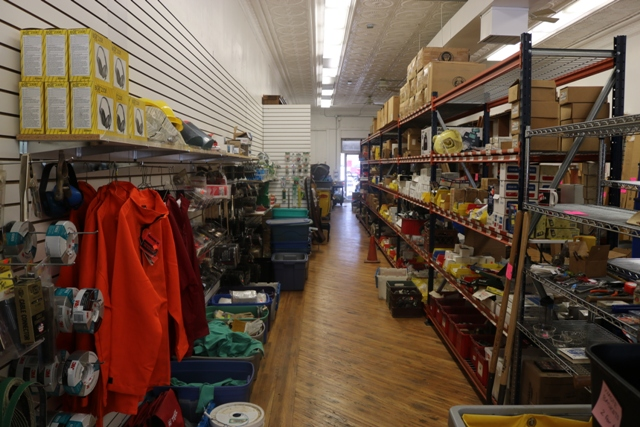 We have to sell this entire store loaded with clothing regardless of price at public auction! 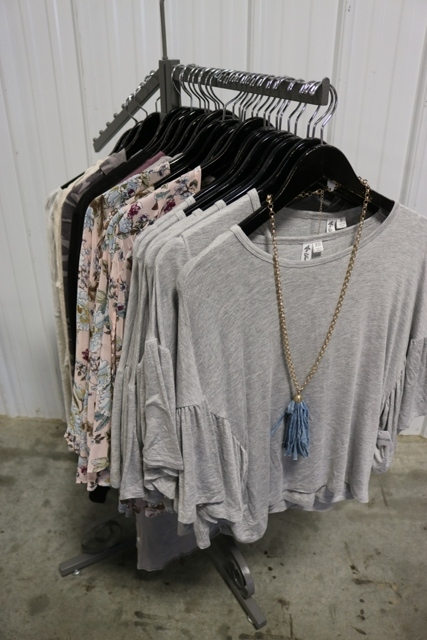 Bring a friend with you as we will have approximately 1000 lots of clothing and accessories coming up for auction! There are no reserves so there will be amazing deals!!! Selling in 2 auction rings. 10% buyers fee and 7% sales tax applies to all purchases. 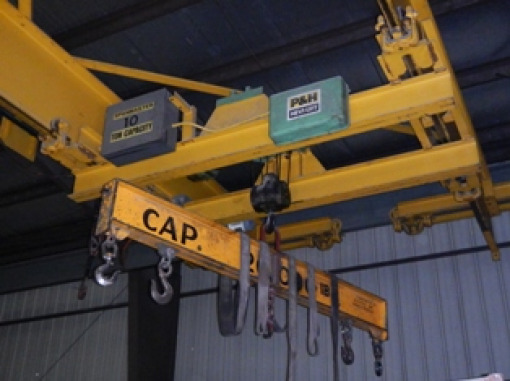 Complete liquidation of all excellent well-maintained equipment. 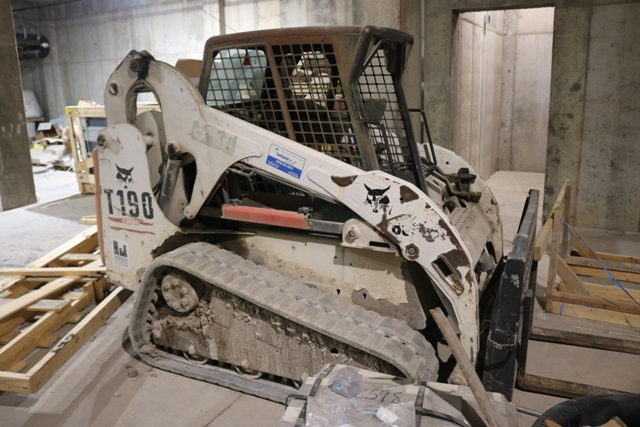 2013 Bobcat skid steer & 2012 Bobcat mini excavator!. 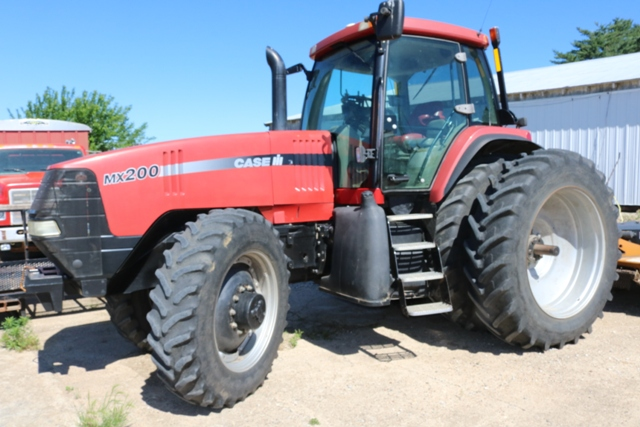 Great line of Case IH farm machinery equipment. Makes plans to attend this great sale. No rack items so come early! Watch for signs. No on-site buyer�s premium... 5% fee for on line purchases only w/ $750.00 cap. WOW - What a way to end the year at our auction facility! 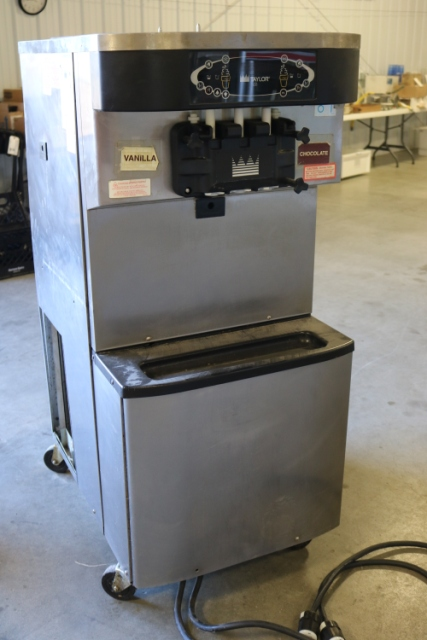 This auction features TEN ice cream machines!! 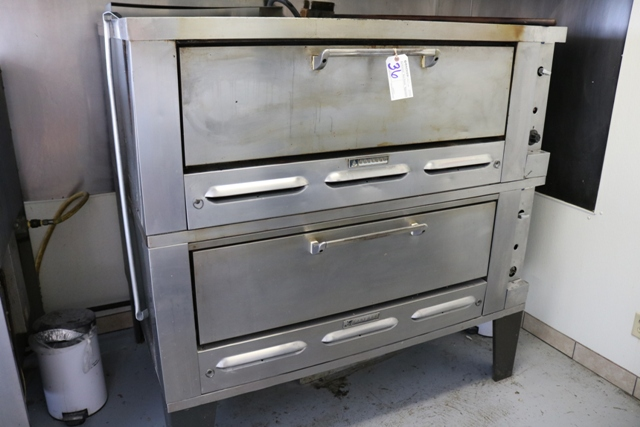 There is also a great line of refrigeration, 3 pizza ovens, NEW Globe 30 qt mixer - 5 fryers - dough roller - 50+ bar chairs - beer signage and more! There will be some great deals here so make sure and attend or bid Online! Online bidding available on Wednesday, December 13th. 10% buyers fee live and 16% online. Sales tax applies to all purchases. Short Notice Auction! 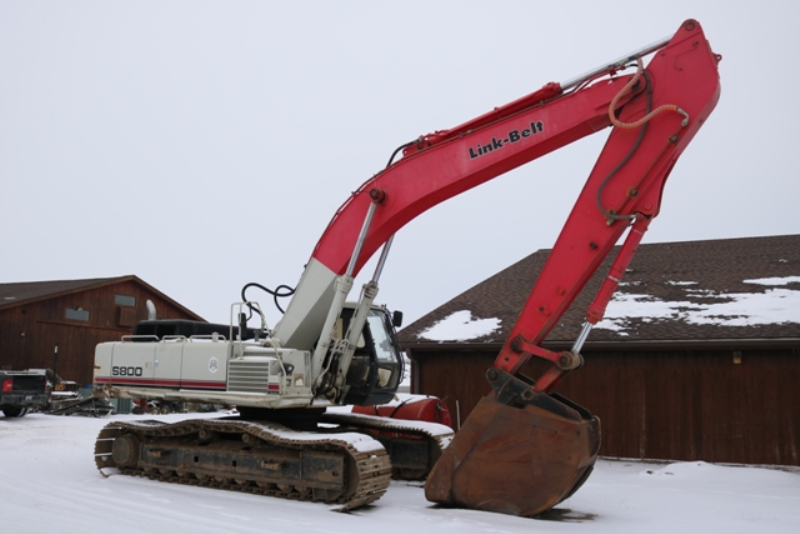 Owners have to sell all of their excess equipment! Going to be some great buys on this short notice auction! 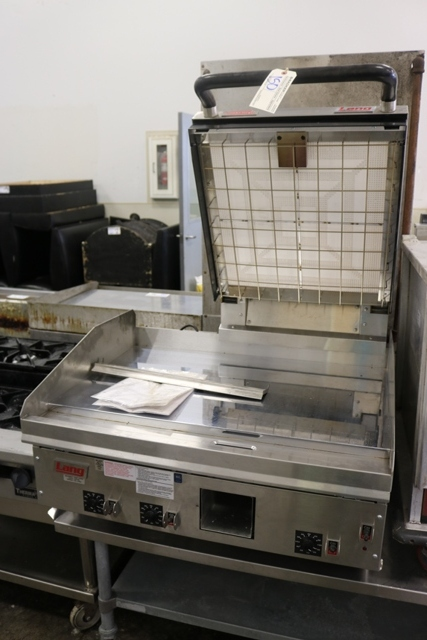 Featuring a like new Kronomatic Gyros broiler, 3 new sinks, new stainless wall shelves, Star Max flat grill and char grill, Berkel Tenderizer, Hollymatic food portioning system and more! Only 117 lots so mark your calendars! 18% online buyers fees. AUCTION POSTPONED> Owner had to delay the auction until later in January. Check back in a few weeks for details. Please forward this information to friends who may be going to this event as it will not happen until next month. 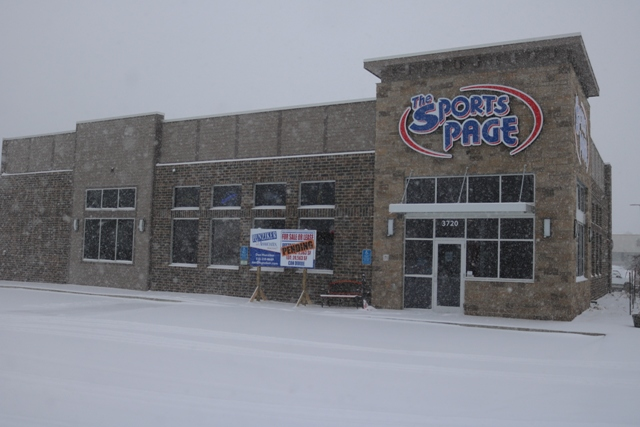 Owners are moving to new location. 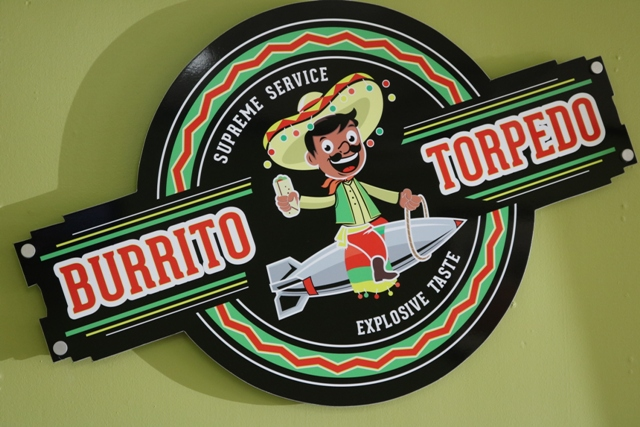 This business has always treated their employees to special lunches. 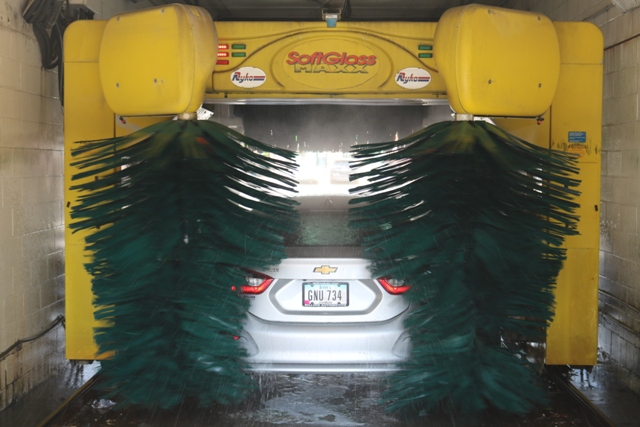 All equipment is showroom clean & like new! Most all purchased new in 2013. Be prepared to buy and carry. Viewing is Friday January 5th from 9:00 to 4:00 pm. All equipment must be removed no later than Thursday January 11th. 18% buyer�s fee. Doors Open at 8 AM. Call Farley Speedway to Consign. http://www.farleyspeedwaypromotions.com/ Estimated 1000 lots starting at 9 AM and selling until gone! Estimated end time is 5 - 7 PM. 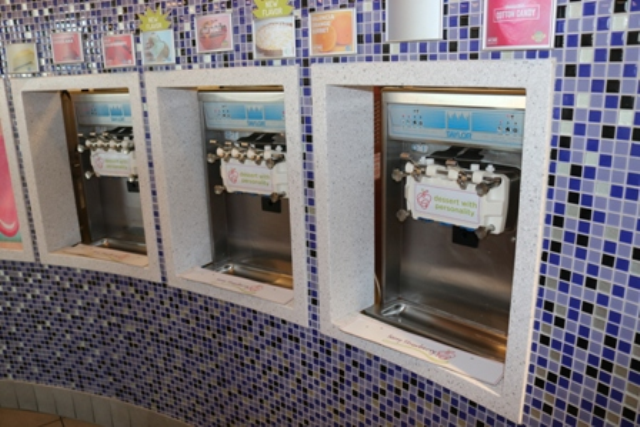 Extremely Nice Refrigeration & Ice Cream Machines! Online Auction Only! Moved to Backes Auction Center for Selling Purposes only. This Fabulous store came out of Burlington, Iowa. 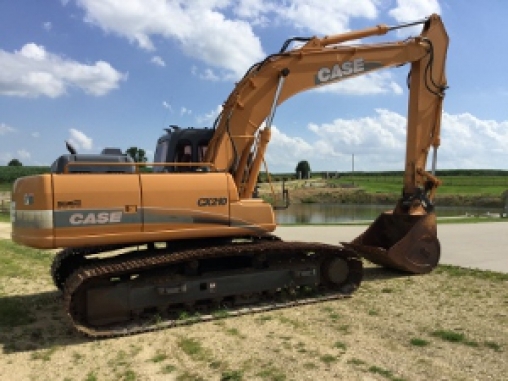 Late model, excellent and clean equipment that all has to sell regardless of price! 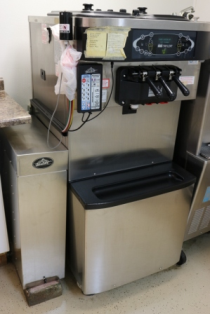 The 6 Taylor machines are in working order, excellent line of refrigeration with some great ice cream equipment and seating package! 18% online fees. PLEASE NOTE: Parking is limited! Please park at True Value Hardware Store lot across the street. Live & Online Auction. WOW! 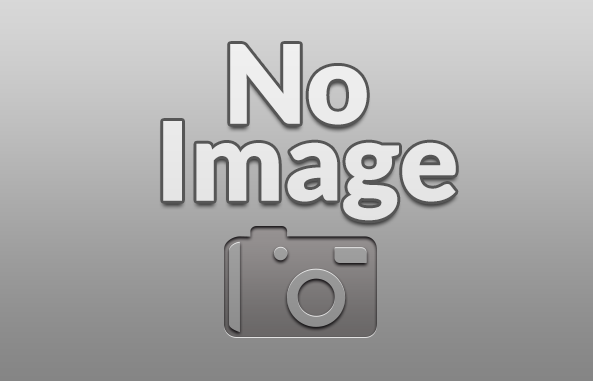 Here is a rare auction in today�s world! A first class, full service bakery! All items are in great condition and very clean! Featuring 3 mixers, 2 ovens, nice line of refrigeration, great selection of bakery related items and even 2 refrigerated delivery vans! The stainless tables and small wares are fantastic!Mark Your Calendars! 10% buyers fee live � 16% online. Excellent Catering Auction! 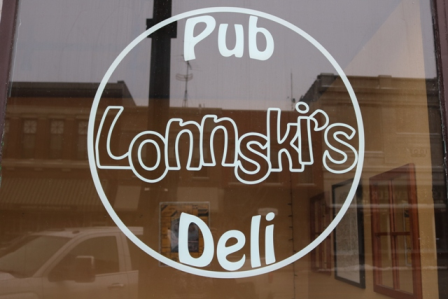 Owners have decided to close this location and downsize. Offering all the following at public auction - it all has to sell! 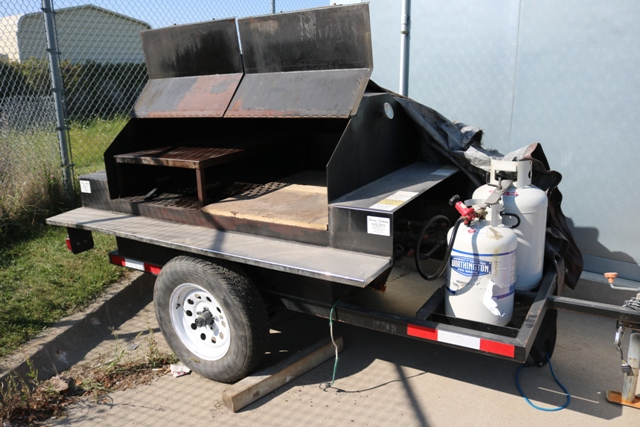 Take note of the 2010 - 14' concession trailer in great condition! 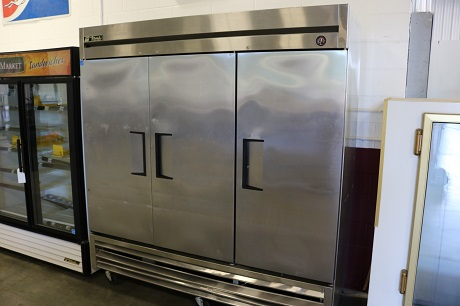 Featuring: 6' x 6' walk in cooler and freezer - nice grill line plus a large assortment of catering essentials! Mark your calendars for this one! 10% buyers fee live - 16% online. This is a great auction! The Miyako (Apparre) Steakhouse has been moved in as well as a great line of bar seating, pizza equipment and refrigeration! 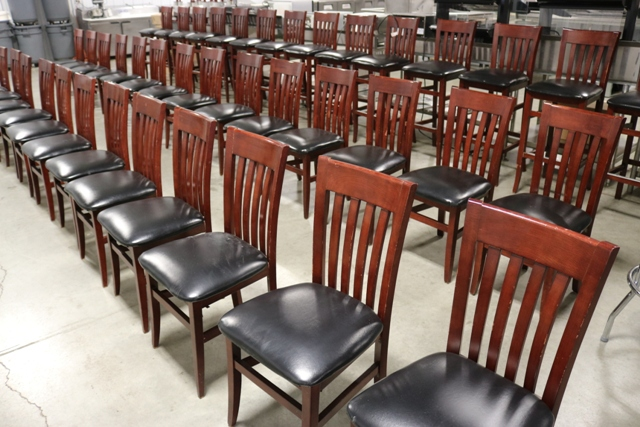 We have like new bar chairs and stools, 17 cherry finish dining chairs, 25 cherry finish bar chairs, 5 bottle coolers, 10 Wolf 48" gas flat grills, full grill line, excellent coolers, freezers and prep tables, 3 ice cubers, pizza equipment and more! Live & Online Bidding. 10% buyers fee Live - 16% online. 7% sales tax applies. Owner has brought in high end, high quality seating package from 2 restaurants he retrofitted plus some high end, high quality food service equipment. Featuring Holsag chairs and bar chairs plus excellent pine booths. 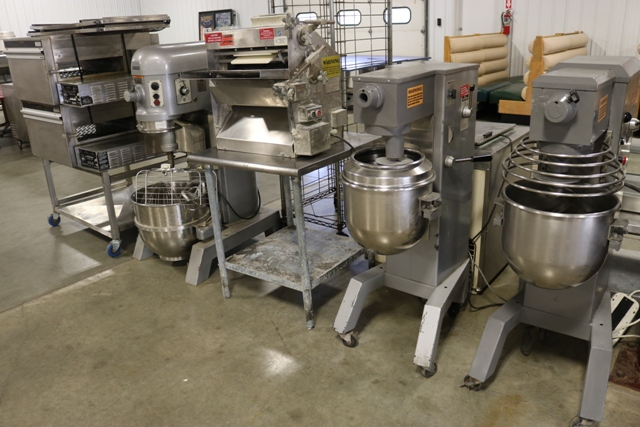 Then we have 3 mixers, nice John Boos stainless tables, dough roller, 2 ice machines, 2 prep tables, stack of convection ovens, ranges and more! No Small wares so be ready to bid right away! 16% buyers fee plus applicable sale tax charged. VIEWING - SUNDAY 9 AM to 5 PM Day 1: This is a Huge Sale! Over 650 lots. 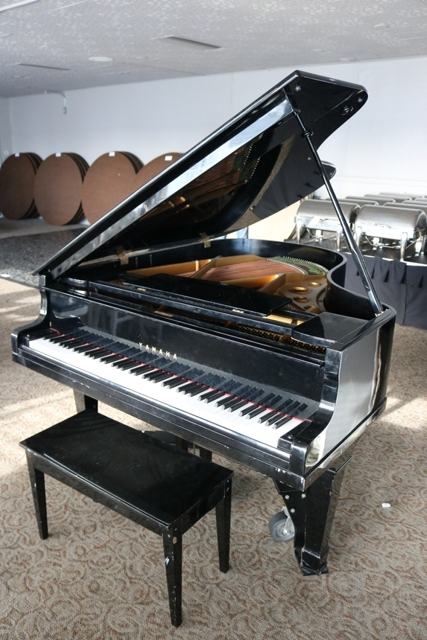 Featuring: Fabulous Yamaha G2 Grand Piano, a rare auction item, a 288 Sq. ft. Stagerite Event & Band Staging plus excellent catering equipment, a large quantity of banquet seating & tables, very nice Alto Shaams & heated holding cabinets plus a large quantity of bar & restaurant equipment! Several items were purchased new in the last few years. Everything sells regardless of price. Selling wall to wall. 18% buyer's fee on all purchase. Viewing: Sunday February 18th from 9:00 till 4:00 pm. All equipment needs to be removed by Thursday February 22. No Exceptions!! 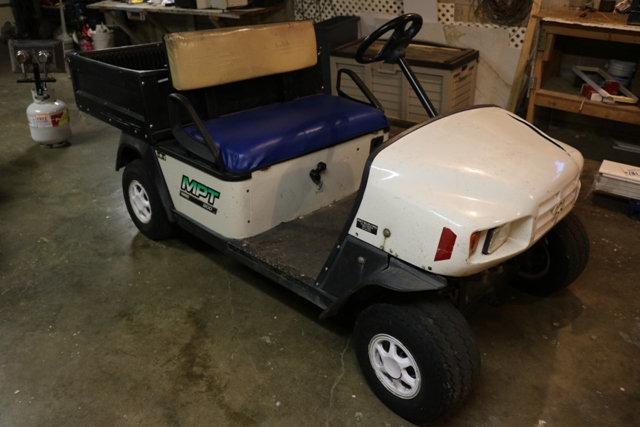 VIEWING - SUNDAY 9 AM to 5 PM Day 2: Selling all equipment used to service there 9 hole golf course. Offering laundry equipment used for the 150 room motel. Selling maintance room consisting of hand & power tools, new windows & new window air conditioners. Selling some outdoor railings, pool furniture & metal walkway canopy's. 100's unlisted items. 18% buyer's fee on all purchases. Viewing: Sunday February 18th from 9:00 till 4:00 pm. All equipment need to be removed by Thursday February 22. No Exceptions. Large offering of equipment! Okoboji Grill from Des Moines closed and brought in their small wares, TV's and grill line equipment to sell plus 2 trailers came in from NW Iowa. 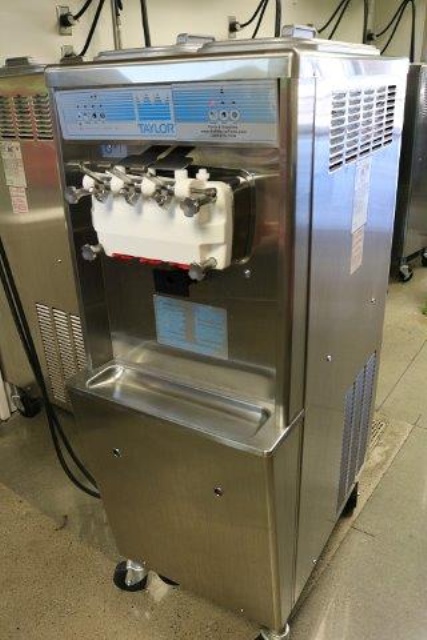 There is also bar stools and tables, ice cream machine, refrigeration and good line of bar equipment. Going to be a great auction so mark the calendar for the LIVE auction! 10% buyers fee. 7% sales tax. Most all euipment purchased NEW in 2017! 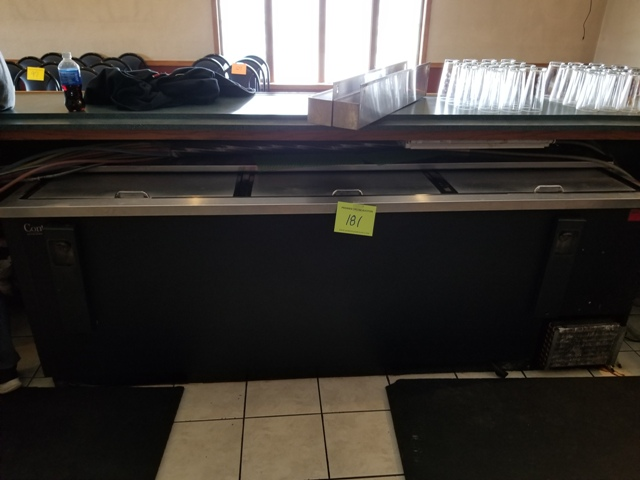 Owners have decided to close this location and commissioned us to sell this great lineup of bar equipment with kitchen related. Online Only auction so get registered to bid! 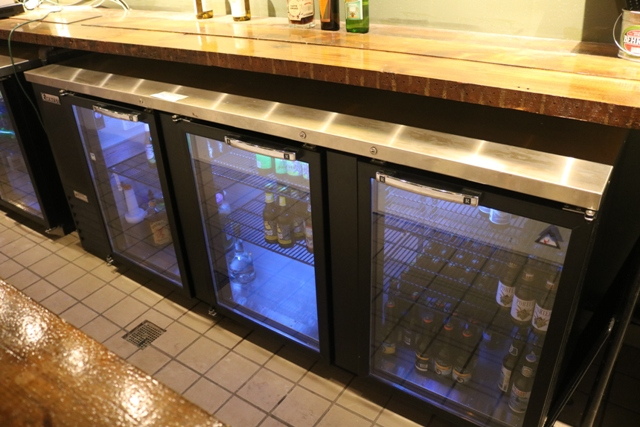 Featuring some great back bar coolers and tap box, TV's, seating, lighting, prep table, waffle makers, slicer and more! 18% online Buyers Fee. 2 day removal time. Viewing Tuesday Feb 27th from 3:00 TO 6:00 PM. LIVE AUCTION ONLY - no online bidding. Will sell in TWO rings for a portion of the auction! Bring a Friend! 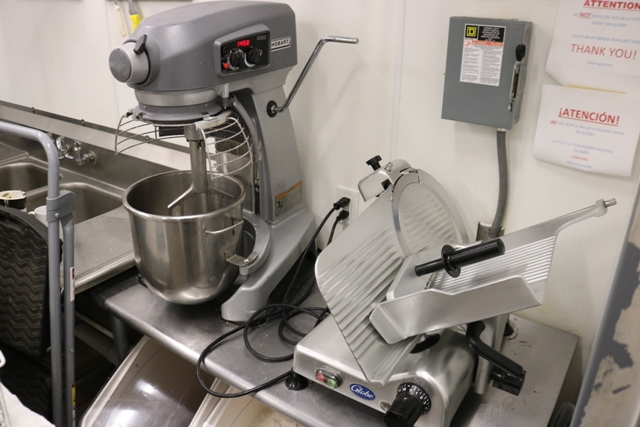 Owner needs to liquidate all of the following excellent equipment asap to make way for a new tenant! 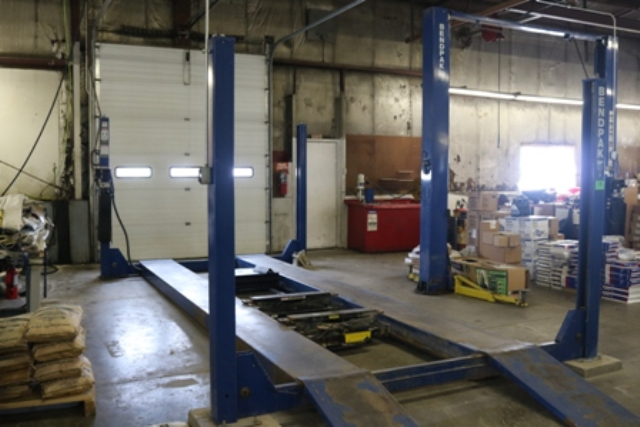 This auction features 2 and 4 pole hoists and alignment rack, diagnostic and flush equipment, tire equipment, fantastic sales and manager furniture, waste oil burners, Hotsy power washer, compressors, shop equipment and so much more! Even a nice Boss 8' snow plow! A standard setup so get ready for some great buys! 10% buyers fee. Many Items Just Added! Look At 60+ new Pictures! WOW - THIS IS A GREAT AUCTION! Great offering! 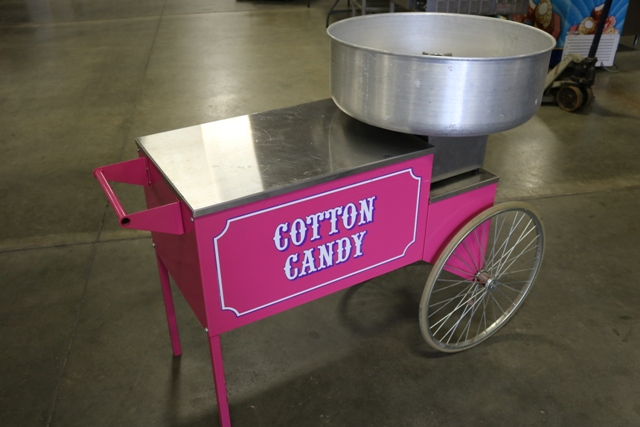 Open Air 14' concession trailer, 3 ice cream machines, 2 Blodgett deck ovens, Lincoln conveyor pizza ovens, 3 mixers, dough roller, 2 ice cubers and a great line of refrigeration and bar equipment! Make sure to stop by next week for some surprises! 10% buyers fee. Sales tax applies. Excellent Lineup of SouthWest Themed Furniture, Decor and More! DUE TO SNOW - NEW VIEWING TIME - Wednesday, March 28th from 4 to 7 PM. Take note of this excellent offering of home furnishings and John Deere Lawnmower! Judy has decided to move out of state and needs to sell all of her very nice furniture and Southwest themed d�cor! Featuring John Deere GX335, Rollie Topping Print, rare McCoy Indian cookie jar, plus so much more! Even the 8' tall totem pole and yard d�cor! Online bidding starts on Tuesday, March 13th at 12:00 PM. Follow link to online bidding. 16% buyers fee. In association with Kastli Auctioneers. WOW! Check this sale out! 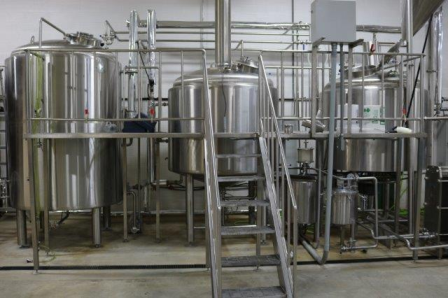 2 year old facility loaded with excellent, 1st class, clean, bar & restaurant equipment. Don't purchase new until you attend this fabulous auction. This is a live and online auction. All equipment has to be removed by Friday April 20. No exception. Bring your trucks & trailers! 10% buyer's fee for live attendants. 16% buyer's fee on online purchases thru Proxibid. 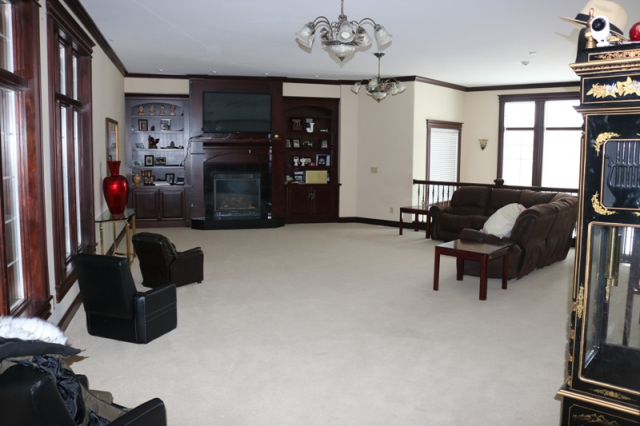 6 bedroom home - huge offering! ONLINE ONLY AUCTION! WOW! What a great opportunity to purchase some very nice home furnishings! 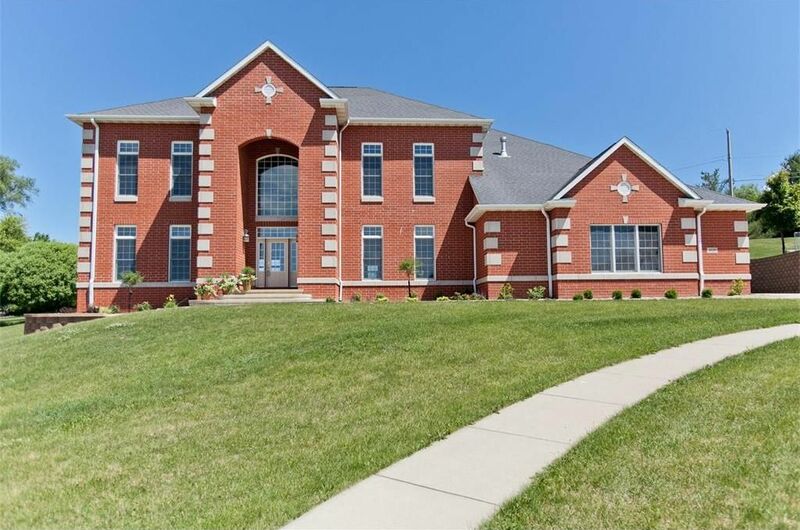 All of these assets are sitting in place in this 16,000 s/f home in Cedar Rapids, Featuring Yamaha GB1 grand piano - 6 bedroom sets - 14' kitchen table with 12 NEW chairs - 15 nice curio display cabinets - True 2 door cooler - Sctosman ice cuber - patio sets - exercise equipment and more! Make sure to watch the dates on this one! 15% buyers fee. Viewing April 15th from 1 to 3 PM. Save the date! 2 Mini Donut Robots! 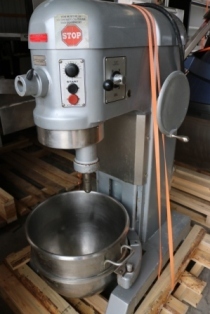 Plus a large line of pizza equipment with ovens, dough rollers and press and 3 mixers! 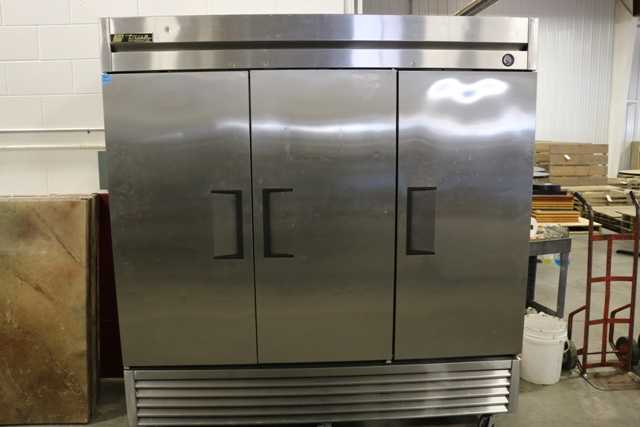 Then add in a good line of grill line equipment, refrigeration, walk in cooler, seating, 3 new vending machines and we have a great April auction! 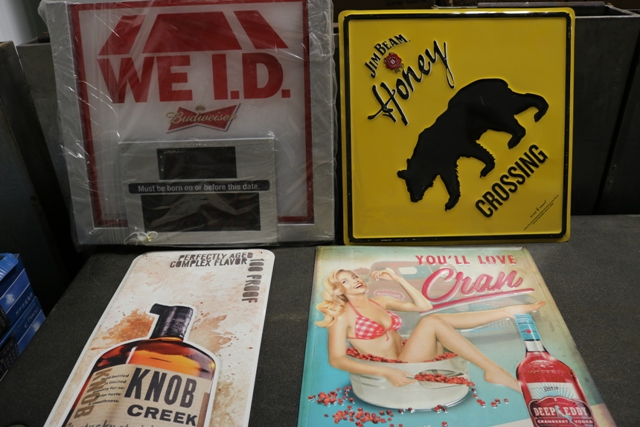 A good, complete auction so come on out and spend the morning with us! 10% buyers fee. Sales Tax applied. 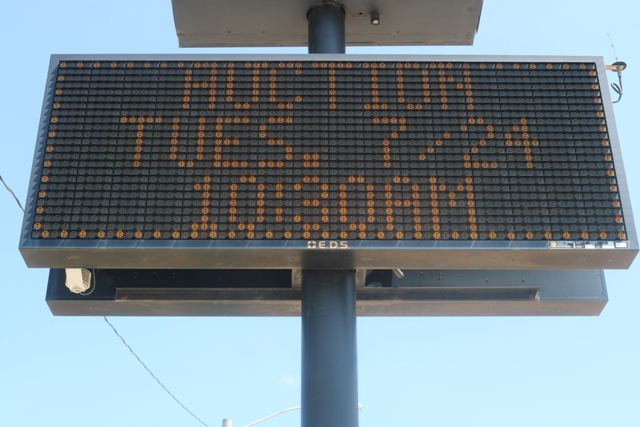 THIS AUCTION HAS BEEN CANCELLED! 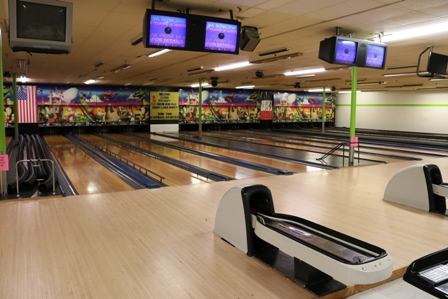 The Landlord has just stepped forward and purchased the entire facility. No advertising has been done except for mailings - make sure and pass on as this auction will not happen! Due to unforeseen differences, we had to postpone/cancel todays online auction. Be on time! Will sell fast! 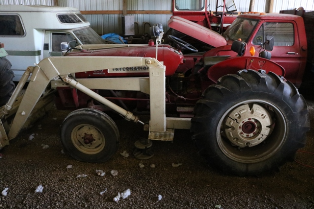 1969 El Camino, Scag riding mower, Ariens Zero Turn, Stihl trimmers and blowers, ladders, hand & power tools, tire changer, brake & rotor lathe, plumbing inventory and more! 10% buyers fee. Note New Date! This is so large we have to move back a week! Owners have recently closed this location and have made the decision to liquidate all of the convention, restaurant and bar equipment. There will be over 1,000 matching stack chairs, 100 banquet tables, large offering of portable dance floor, 7 Sico staging, wall prints, large quantities of china, glassware, silverware, stainless insets plus the complete kitchen and bar areas and now even the pool area will be sold! Due to limited heat and no water, this will be an online only auction! 16% buyers fee. Viewing: Monday, May 21st from 10 AM to 5 PM. 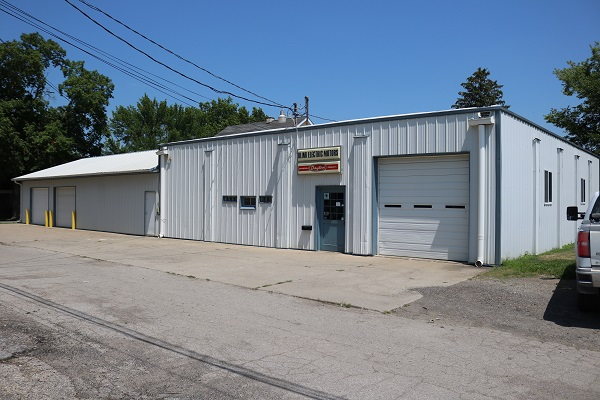 The Serra Automotive Group has purchased this property and have no need for the following list of assets. 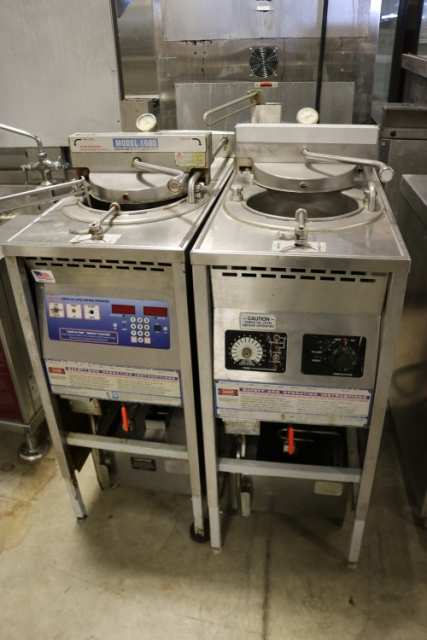 This auction features very nice well-kept equipment with very low hours! 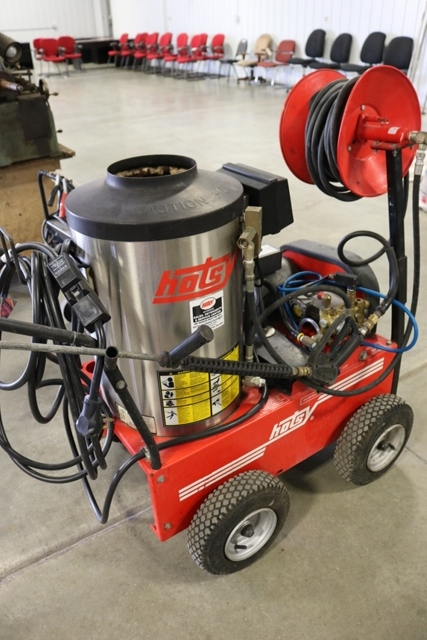 Featuring: 2 Garmat down draft paint booths (wow), Mustang Chassis & Trans Dyno tests - excellent, Scotchman Ironworker, 2 post hoists, tire and auto related equipment plus 20 of the nicest Miller TIG and MIG welders we have ever sold! Going to be a fantastic auction! Bid in person or register to bid online! 10% buyers fee Live � 16% buyers fee online. Rare Property to be auctioned off! Open Houses May 20th, Noon to 3 PM. Open House May 20th, Noon to 3 PM. Beautiful Home! In conjunction with 4012 Paradise Court Auction. If the first home is to big, this one may be perfect! With just under 7,000 s/f of living, this high end, beautiful property has it all for you! From jaw dropping entrance to wide open kitchen/dining and living room, to bedrooms with en suites, a huge wide open basement plus a 4 door garage! You must check this one out! Owners have made the decision to close their business and offer all of the following in an online only auction. There will be hundreds of lots of support items in large quantities! 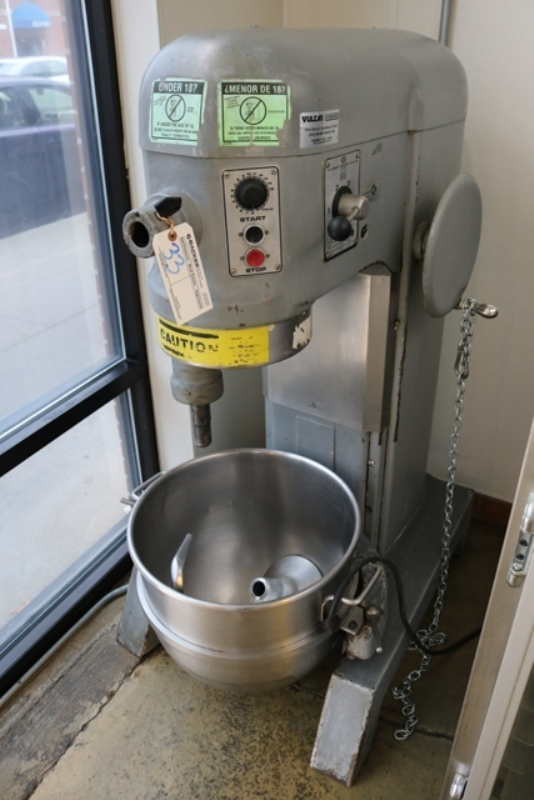 Featuring: Hobart 20 qt and 12 qt mixers; Nice combination walk in cooler/freezer; 3 Panini presses; Flat grill; Dishwasher and then a huge selection of bakery and catering related! Large offering so look close! 16% buyers fee. 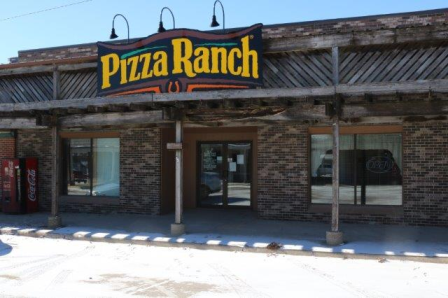 Owners had lost their lease and had to move their entire restaurant to a storage facility and that is where we will be offering this in an online auction! Short Notice Auction with Limited Advertising! 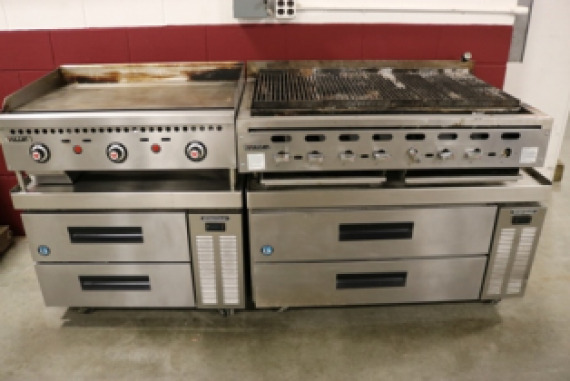 Good selection of seating, dining and support items, 8 station POS register system, Steak Broiler, ranges, flat grills, fryer, 14' complete hood system and more! Removal by Friday! 18% online buyers fee. Owner has decided to sell the remaining assets of Rokes Construction. There is a fantastic lineup of hand and power tools, scaffolding, roll off trailer, enclosed trailer, skid loader trailer, 3 Luxury job site trailers, welders, plasma cutter, pallet racking, 2 electric fork lifts, snow blade, panel saw, ladders, inventory and so much more! Look close at this auction as it is a good one! 16% online buyers fee. New owners of the property have no need for this fabulous, first class equipment and need to sell it all regardless of price! 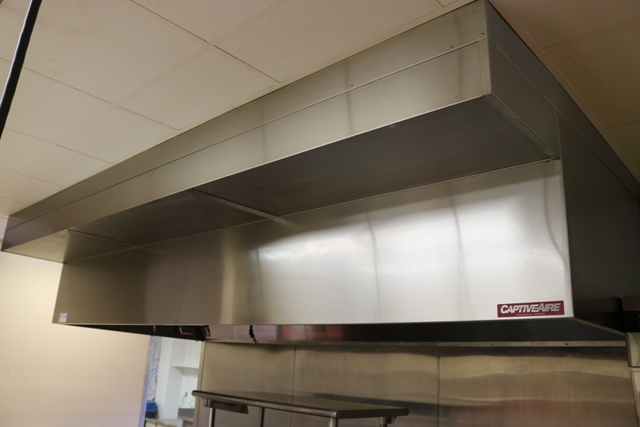 Take note of the 20' - 2 piece Captive Air hood system! 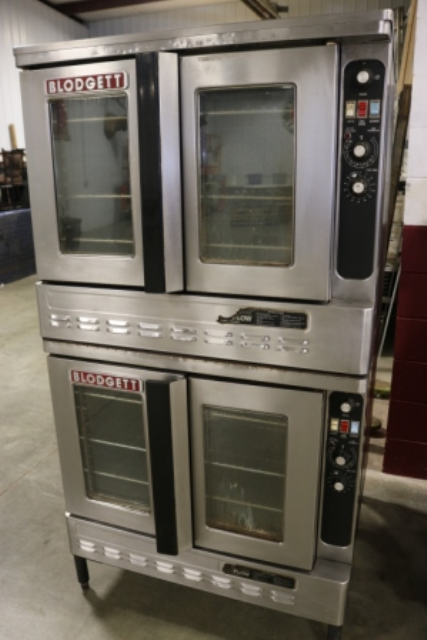 Excellent line of the following: SB convection ovens, Keating 48" mirror finish flat grill, like new refrigeration and first class Hobart 30 qt mixer! Rare to find items this nice! 16% buyers fee. South Dakota Sales Tax applies. In Conjunction with Kastli Auctioneering. At 82 years old, Darrell has decided now is the time to sell his equipment. Come on out and spend a few hours and take a look at what Darrell has to offer! 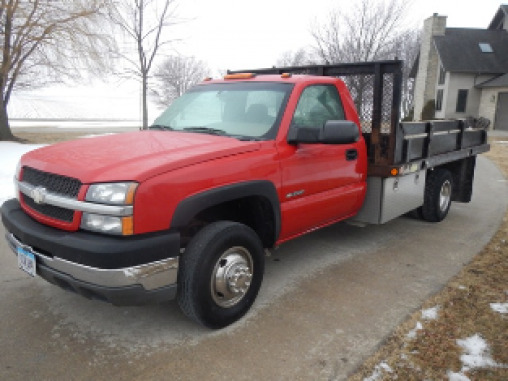 Featuring a 1996 wrecker, 2 cars, auto and shop equipment and more! 10% buyers fee. WOW - Very Nice Small Town Grocery Store! 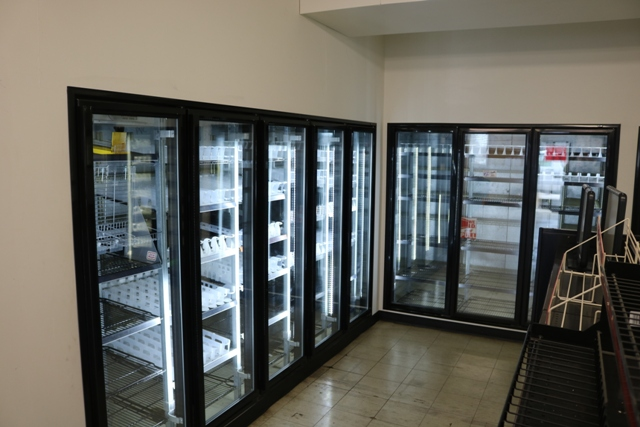 Featuring high end POS register system - Losier and Hussman Shelving - 3) 2014 Hussman refrigerated display cases - Glass door freezers with LED lighting - Meat grinder, tenderizer and saw - plus walk ins and so much more! Great Auction! 16% online buyers fee. Owner has decided to lease this space and will need to liquidate his full inventory from his store! 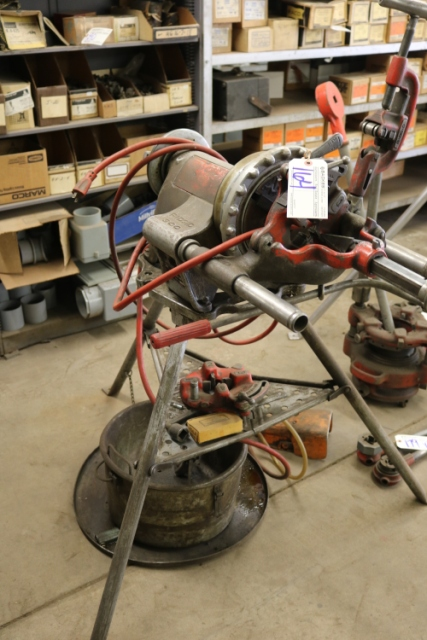 This online auction will feature a wide range of items from shelving and parts bins to welding related inventory to some hand tools to grinding related to castors and so much more! Estimating 400 lots of new inventory! 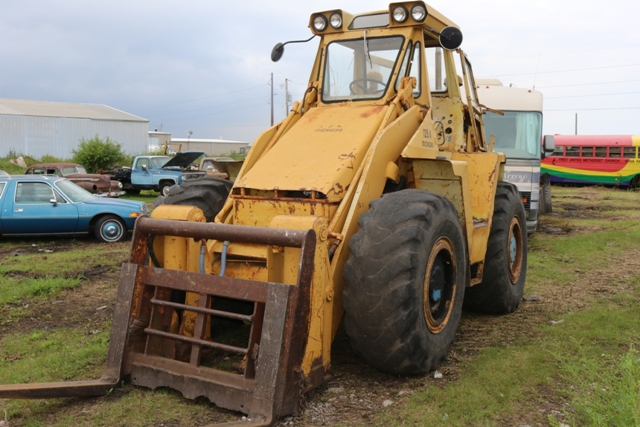 Check back as we get closer to auction date for complete catalog. 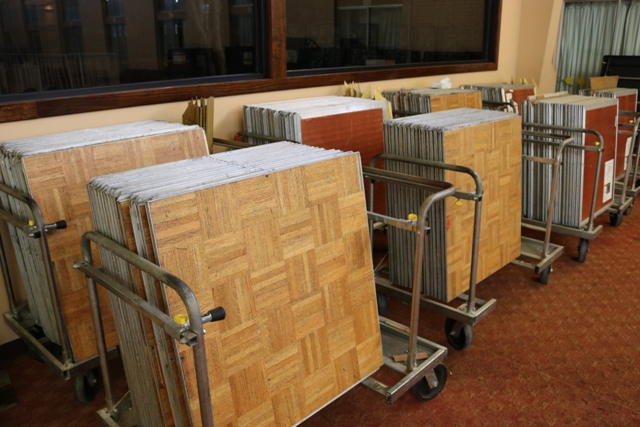 Central Rivers AEA has decided to stop the production of their die cutting and will be offering this massive collection at public online auction! There will a great lineup of alphabet sets and numbers in several sizes - plus hundreds of borders, shapes and related selling in groups of 10! Massive Deals Compared to New to be had! Share with your schools - libraries - Daycare providers - churches or even your scrapbooking friends! This is a rare opportunity! 16% online buyers fee. This is only a partial list - many items to be added. 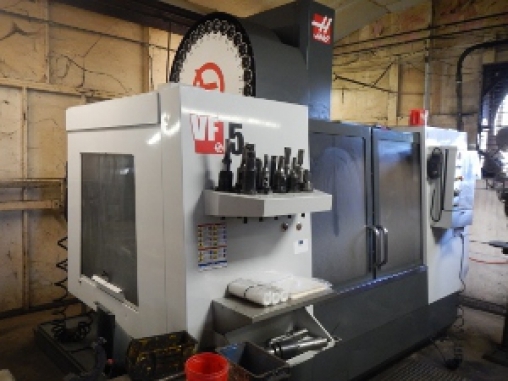 Complete liquidation of all excellent, clean fabrication, machining, welding & tire equipment. This sale offers something for anyone! 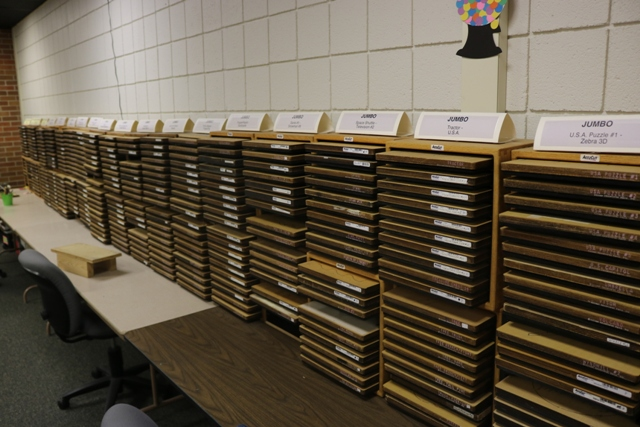 Large quantity of remaining race parts inventory. Don't miss out on this fantastic sale. Viewing will be on Wednesday July 18 from 1:00 to 5:00 pm. Removal July 19 - 2:00 to 5:00 pm. Friday 9:00 to 4:00 PM. By appointment after that. 16% buyers fee. OPEN VIEWING: Friday July 20th 1:00 to 4:00 pm. 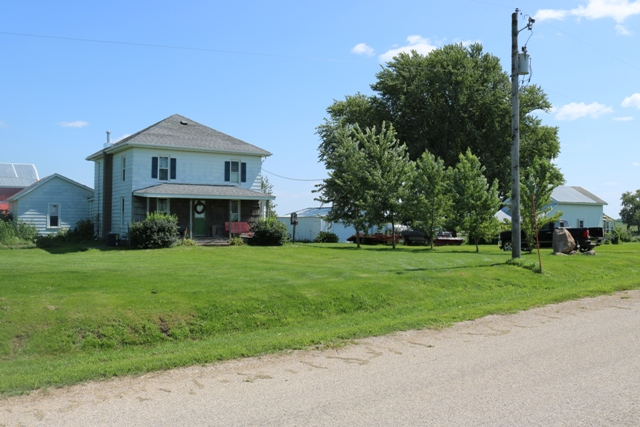 Acreage located at 3050 230th St. Located 3 miles East of Readlyn on highway 3. Consist of approx..5 acres w/ older home and out buildings. Lots of trees. Great potential for future building site! Don�t miss out on this diamond in the rough. 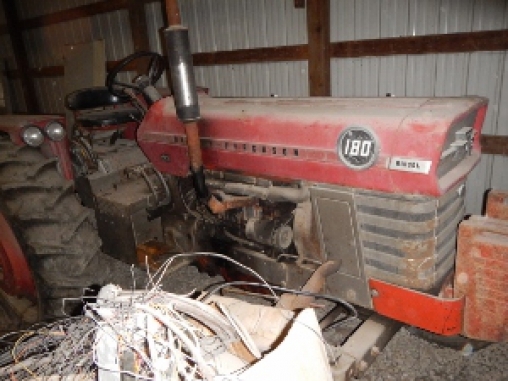 Selling 5 Case tractors & scrap after real estate. 10% buyer's fee applies to real estate and all purchases. Open Viewing: Friday July 20th - 1:00 to 4:00 pm. Offering 2000 sq. ft. Commercial building located next to city building down town Readlyn. 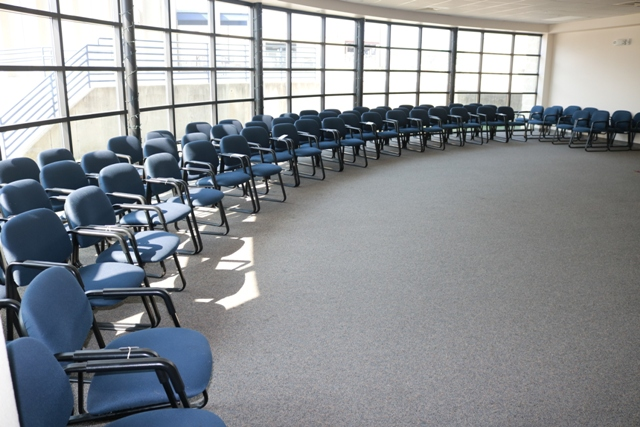 Excellent location for salon, professional or business offices. 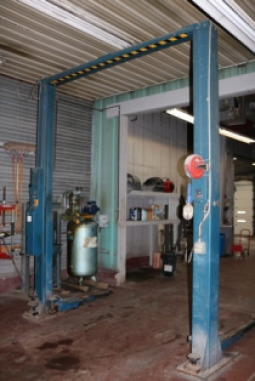 Selling all shop equipment, tool & inventory after real estate. 10% buyers fee applies to real estate and all purchases. RARE TOUCH SCREEN SELF TAP SYSTEM! Owner has closed this fabulous first class facility and needs to sell it all in an online auction! Most equipment will range from 1 to 3 years old! 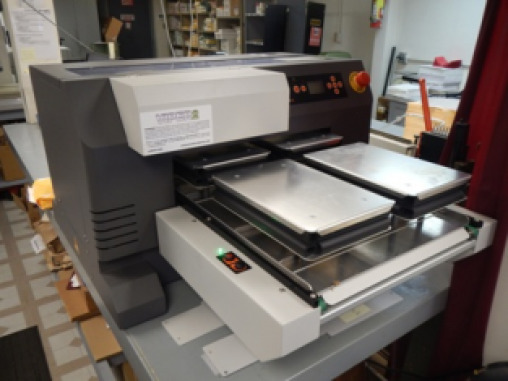 Recent updates to this like new facility makes this equipment very desirable and late model! 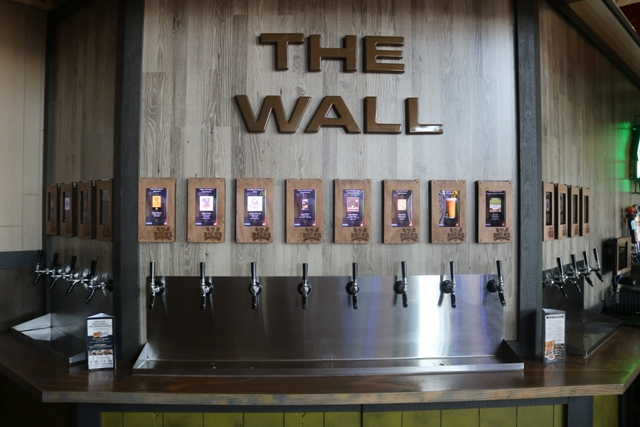 RARE Wall touch screen tap dispensers � hi end and hi output grill line and a very nice bar area plus 3 year POS system! Mark your calendars! 16% online buyers fee. Great Auction! 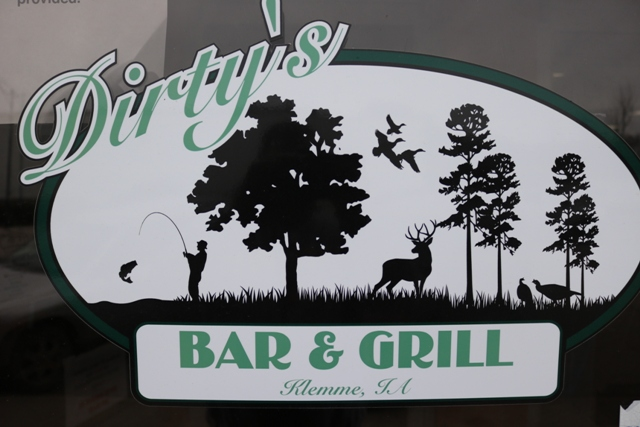 Owner has decided to close this location loaded with excellent bar and restaurant equipment! They even brought more in from their other Hurricane locations and bars! Great offering with outdoor reader board, slate deck pizza oven, 4 slicers, awesome seating package, bar equipment, Alto Shaam oven and more! Come to the Live Auction or Bid Online! 10% buyers fee live � 16% online. Owners have sold the building and the new owners want nothing in here! It all has to be sold regardless of price! 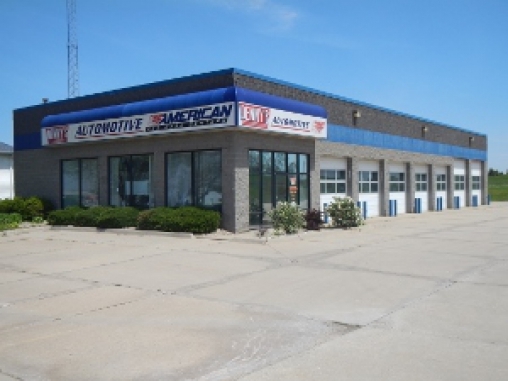 Get registered soon to bid what you want on this full service facility! 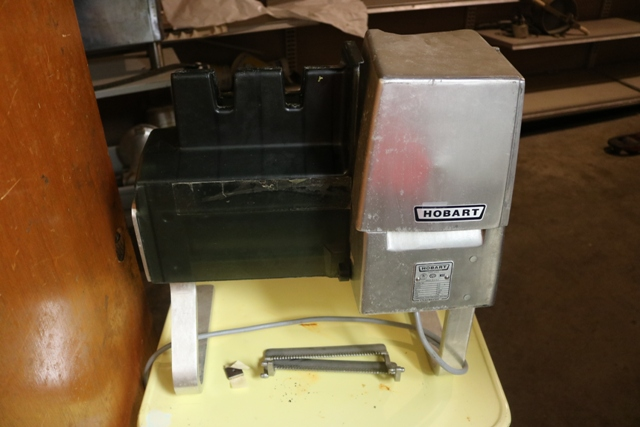 Some high end fryers - Hobart 20 qt mixer - refrigeration - breading tables and more! Check back for bidding details and list soon! 16% online buyers fee. This auction is already full! Huge offering! 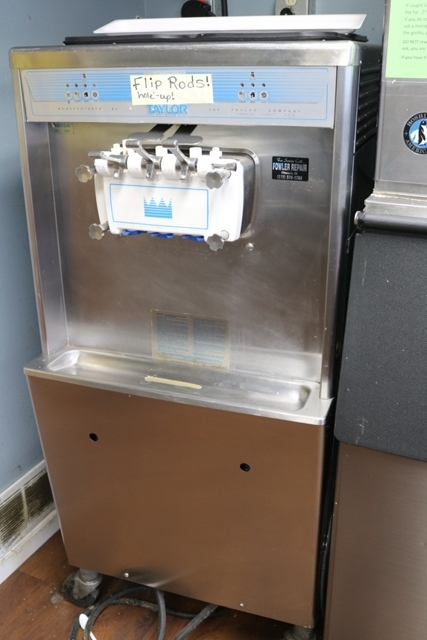 2 Taylor Crown ice cream machines - popcorn and concessions - bar & bottle coolers - pizza and restaurant and so much more! We have trucks and trailers full already coming in! Check back later for complete list but mark your calendars for this one! ON LINE ONLY AUCTION. 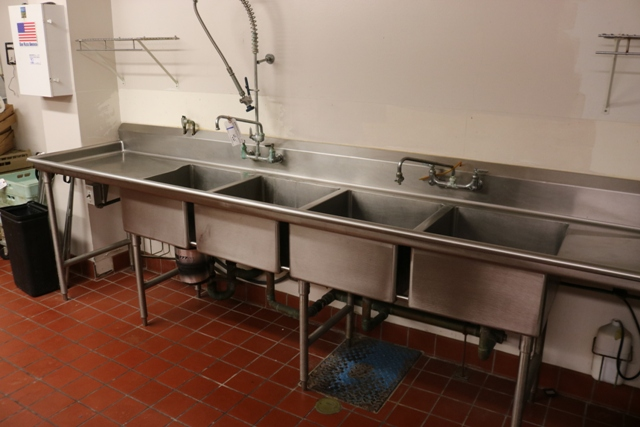 Complete liquidation of all excellent clean, some late model restaurant equipment. 1000 Shelby Williams olive green stack chairs and close to 40 Hi End wall Prints from local casino. Viewing available most days from 8:00 to 3:00 daily. All equipment needs to be removed by Friday August 17th. 16% buyer�s fee. 7% sale tax on all purchases. Wow!! This sale offers something for everyone. 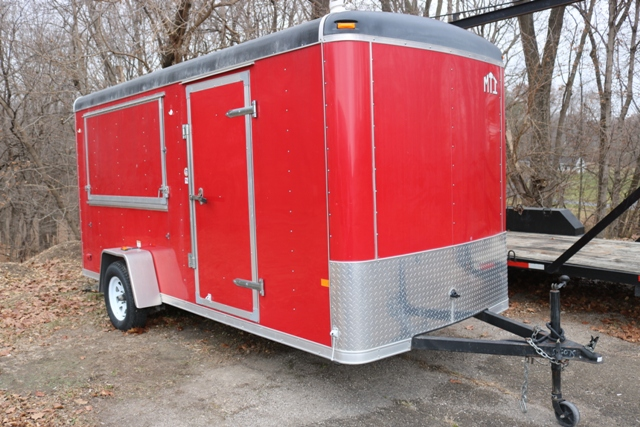 Selling a great service van & enclosed trailer. Greenlee conduit benders, Ridgid power threader, shop equipment & 1000's of dollars in electrical inventory. It all has to go! Viewing, Wednesday August 22 10:00 am to 5:00 pm. All equipment needs to be removed by Sat Aug 25th if possible. 16 buyer's fee. If you can't attend the live auction, please call us at 800-876-8070 for absentee bidding! 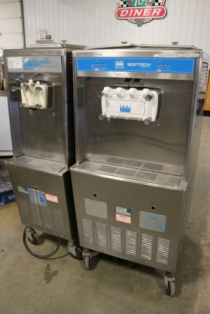 Featuring: 2 Cotton Candy machines -1 & 2 glass door coolers, 3 ice machines, concession items - ice cream machine and dip cabinets - pizza and restaurant equipment! Even some new small wares! Going to be a good one! 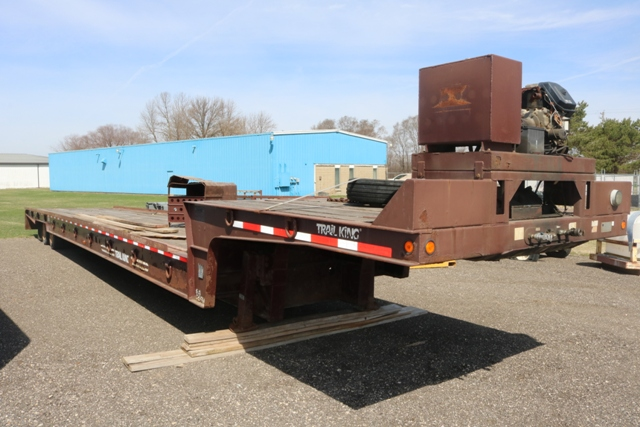 Bring your trucks & trailers for fast removal! 10% buyer's fee. 7% Sales Tax. This will be a short notice auction! 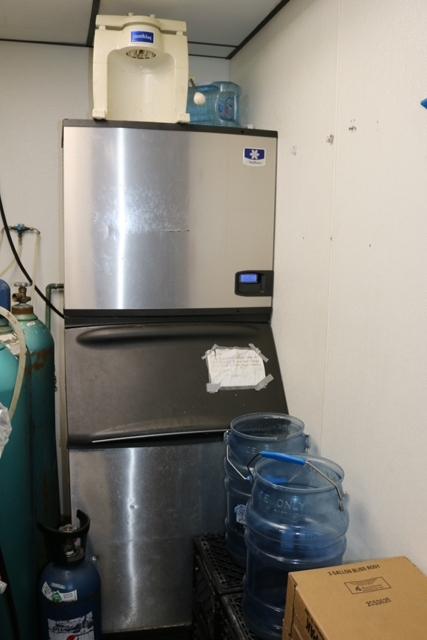 Owner has lost his 7,000 s/f storage facility and has to sell all of his excess equipment from his many restaurants! It all has to go regardless of price! Going to be some fantastic buys! 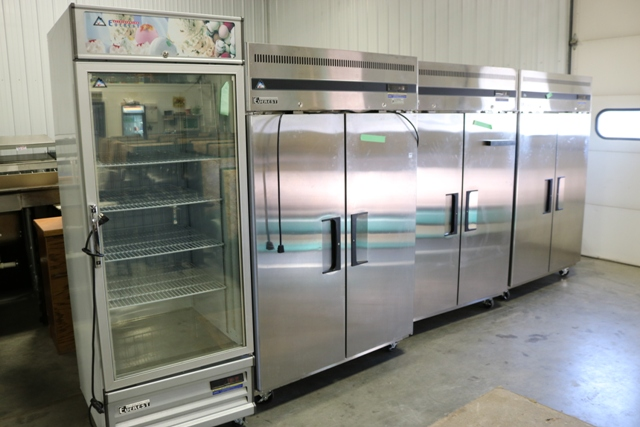 Featuring: New Lang 36" clamshell flat grill ($17k) and a new Pitco rethermalizer ($13k), 2 ICS walk in freezers, 2 ranges, flat grills, refrigerated equipment stands, 3 door glass freezer, ice cubers, chairs, tables, booths, air hockey, pool table and more! 16% buyers fee. 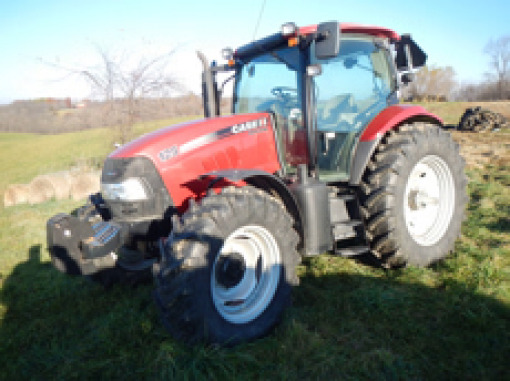 Here is a great acreage for the home mechanic or farmer! 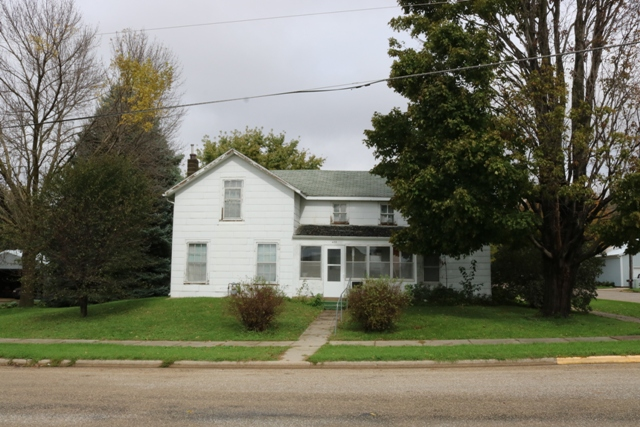 This property features the original farm house with a large work shop currently used as an automotive repair shop. This property also has several other multi use buildings and barns! It all sits on a 1.8 acre property! Give us a call to take a look or get ahold of Arlene Kugler as well! Milio's Sandwich Shop, a 2012 store, has been brought in with a beautiful walk in cooler/freezer - nice seating - baking ovens and more! 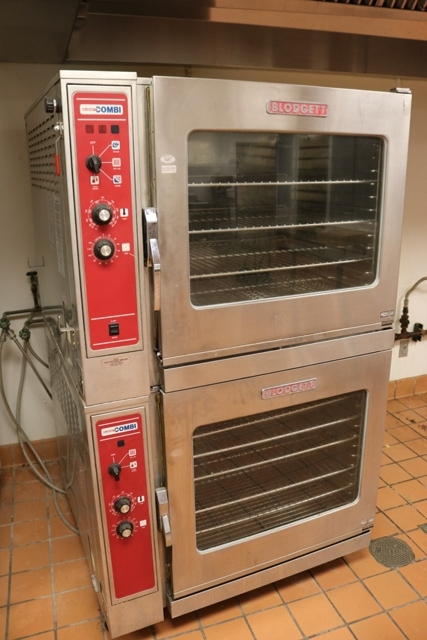 Plus we added a fabulous line of pizza, bakery and meat equipment! Get registered to bid online today! Only a 1 hour auction! 16% buyers fee. Sales tax applies. ONLINE ONLY AUCTION. Selling for secured creditors. There are only 4 items on this sale! 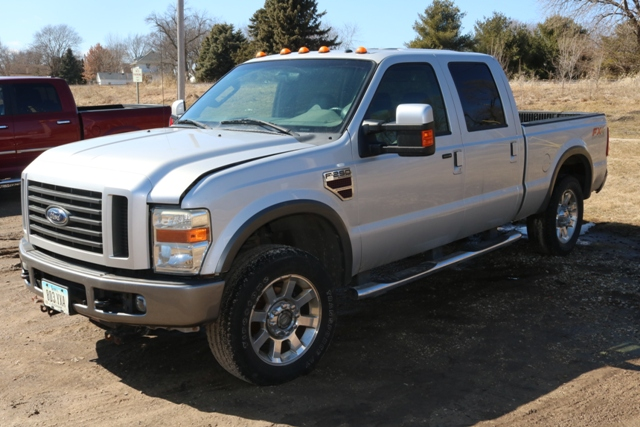 Swing by anytime to take a look at these vehicles and trailers. 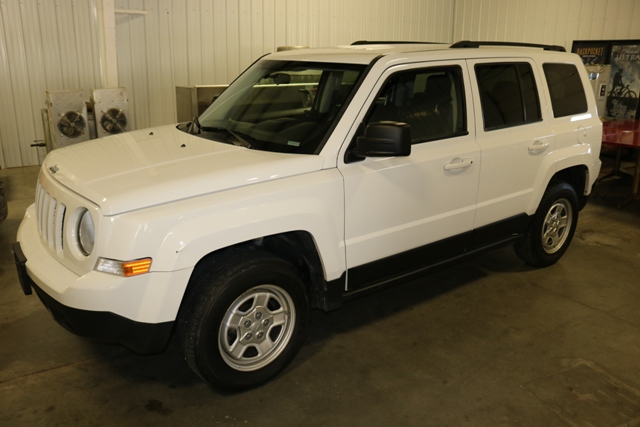 All items are located in our auction lot. 5% internet fee. We have sold the house for the estate and now they need us to sell everything else to settle Neil's estate. Come on out and take a look at this nice offering. Be on time as this auction will only take 1 hour ish. Nice 2008 Chevy Impala LT - 1979 Ford Custom F100 truck - 4' x 6' trailer - 4 hand guns - 2 long guns - lawn and garden related and a small offering of household furnishings and d�cor! 10% buyers fee. Note New Day! Online auction only. New Owners have no need for the following list of equipment and it all has to go regardless of price! 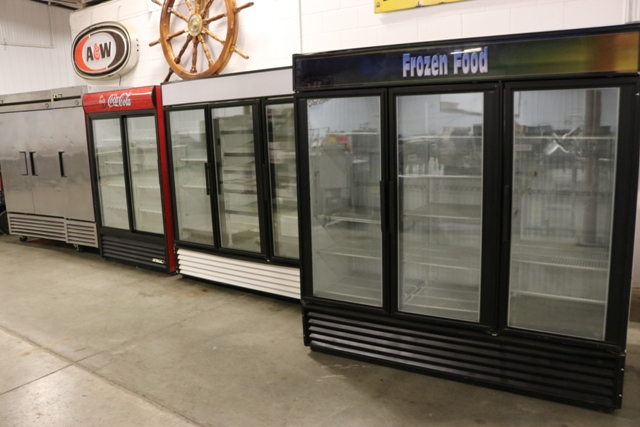 This auction features a very nice 13 glass door cooler/freezer merchandiser (wow), Captive Air 12' hood system, Lozier shelving, Ruby II cash register system, grill line equipment and convenience store related items! 16% buyers fee. WOW! Immaculate Facility! 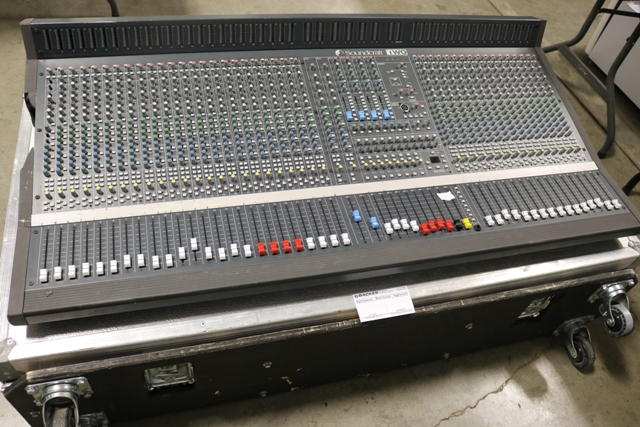 Not a large auction but very clean and late model equipment! Owners have decided to close this location and they have to sell it all to regardless of price! Get registered today to start bidding what you want on this updated facility! This is what you are looking for! 16% online buyers fee. Owners have decided to sell it all and hit the open road! They can't take it with them so they are selling it all in an online only auction (due to no parking)! 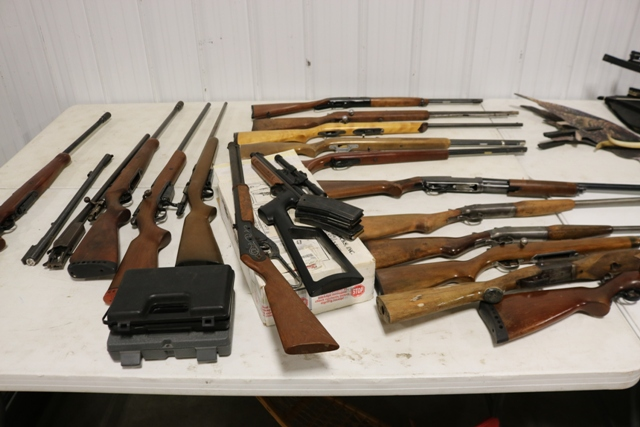 Take Note: 18 hand guns and rifles, gun safe, JD Backhoe, Trailer, Forward 10,000 lb hoist, welding equipment, blacksmithing related, wood working, pontoon, pool table and so much more! Huge Offering! 16% online buyers fee. 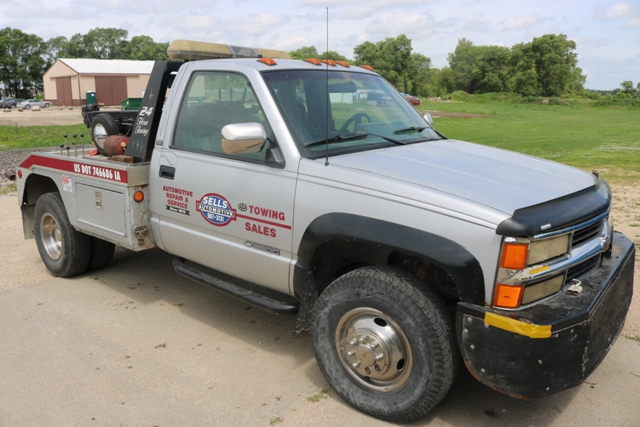 Backes Auctioneers in conjunction with Adams & Adams Auctioneers of Iowa Falls, IA. Selling the remaining assets of Boot Hill Auto & Recycling. Property was sold and is owner retiring. Come pre-paired to buy and carry. Surely to be some great buys. Loading available on site. 10% buyers fee applies to all purchases. Viewing is Friday from 1 to 4 PM - entrance is located on EAST SIDE OF FACILITY (this facility is huge - look for auction signs) entrance is by outdoor patio area. Excellent Equipment!! This is located at very nice warehousing - details for viewing and removal to follow. WOW - Take note of this one! 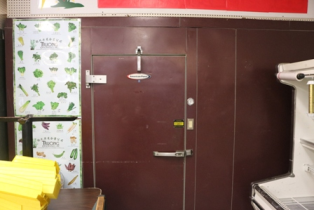 Local restauranteur has relocated a portion of recently closed and newer Zombie burger from Iowa City along with some of his other facilities and made one heck of an auction! 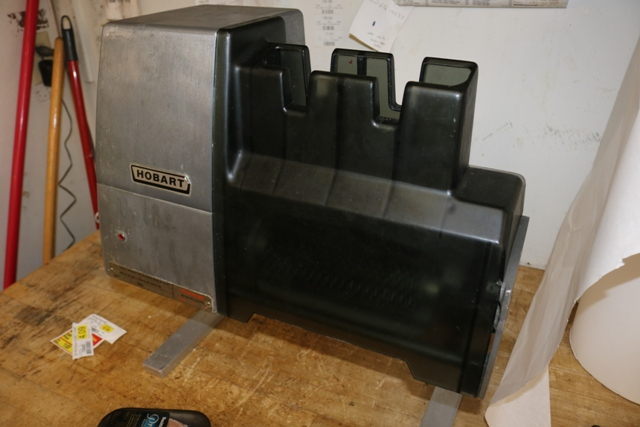 This auction will feature hi dollar seating - good booths - 2 Hobart potato peelers - 4 automatic fry cutters (nice) - 15 stainless tables - convection ovens - refrigerated equipment stand - grills - steamer - bar equipment - 2 brass taps with glycol system and so much more! Going to be a heck of an opportunity for you! 16% buyers fee. DO NOT MISS THIS AUCTION! Look Close! On Line Only Auction. 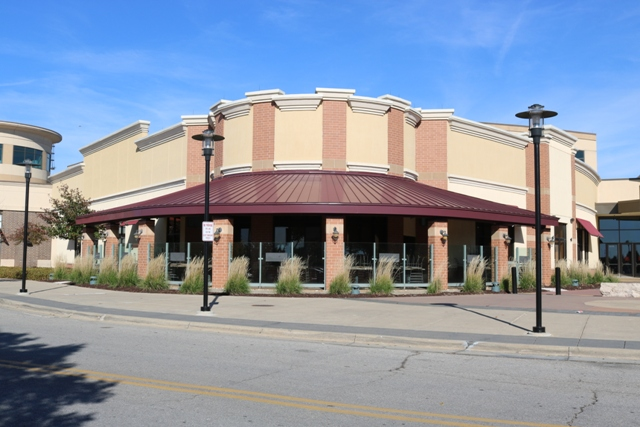 Complete liquidation of this 120-seat restaurant. Everything has to go! 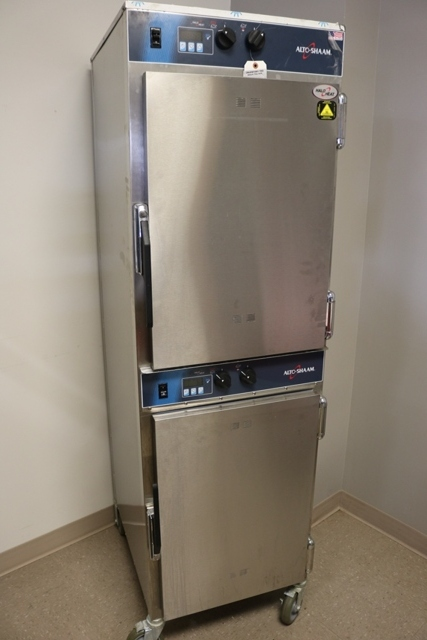 Offering great walk-in cooler/freezer, 1 phase. 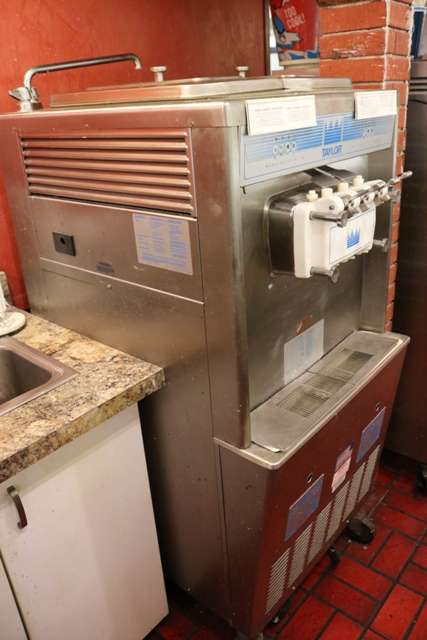 Offering ice cream machine, mixer, pizza & restaurant equipment. Viewing Tuesday October 23 from 3:00 to 6:00 pm. 16% buyers fee. 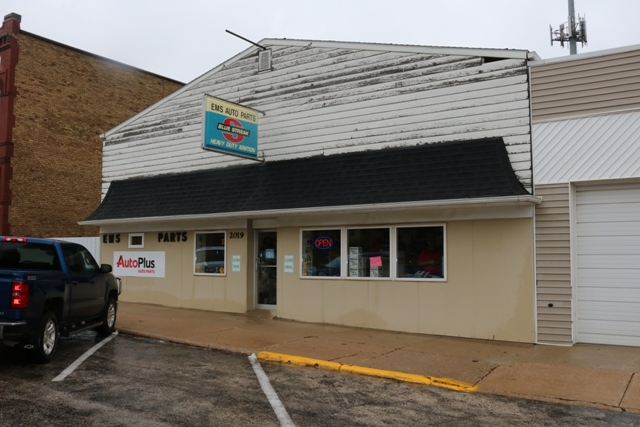 Offering 5700 sq ft commercial building located down town Emmetsburg. Building sells with reserve. 3% online fee applies to final selling price. Complete liquidation of all remaining parts inventory. Items to be sold in large quantities. Yale 3000# fork truck! Gates hydraulic crimper! Large quantity of hand tools & shop equipment. 16% buyers fee. Sales tax applies to new inventory only. Viewing: Wednesday October 24th from 10:00am to 5:00 pm. 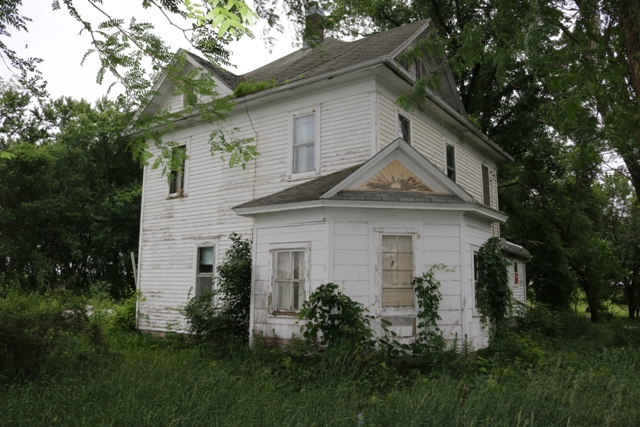 Owners have decided to auction off this corner lot located in downtown Jesup, Iowa. The house can be saved and renovated or taken down to make way for endless possibilities. 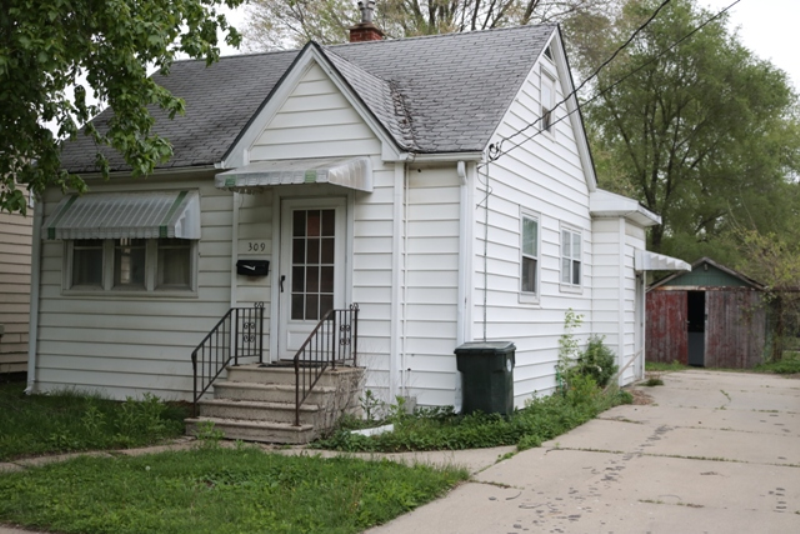 The lot is over 1/3 of an acre and situated on the corners of Young Street and 5th Street with alley access to the North end of the property. Currently zoned residential. Large lot can facilitate apartments, condos, great for service building (once rezoned) and so much more! 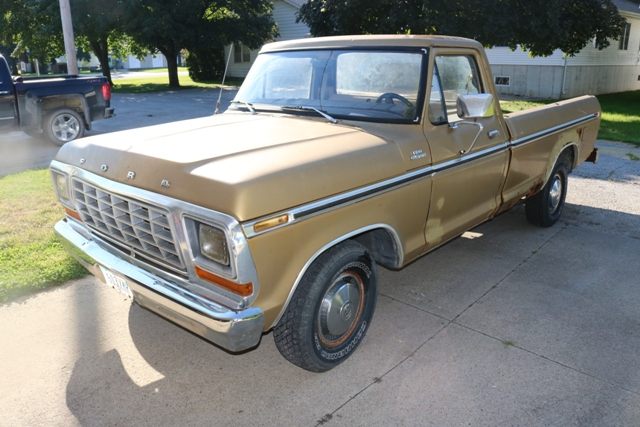 This is a gem and a rare auction of a lot like this in Jesup! 10% buyers fee. Some Hi Dollar New Items! Holy Smokes take a look at this! Owner has decided to close the business and offer this amazing lineup at public auction! 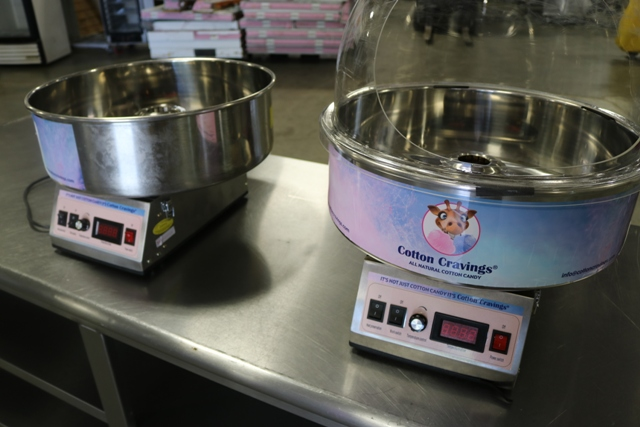 This auction features 2 Bush floral coolers new this year - A 4 month old Hi Dollar POS register system - New Canon Plotter - 2015 Nissan delivery van - Walk in floral cooler - Vintage 8' tall floral neon (wow) - plus greenhouse related and supplies! This will be an amazing opportunity to update your floral shops at auction values!! 16% online buyers fee. Incredible Collection! On behalf of Neva Casad and the Max Casad lifetime collector toy auction, we are proud to present to you the opportunity to bid on and purchase some amazing items up for auction. The final list will be coming soon so for now here are some preliminary pictures. Live Auction with Online bidding available. 10% buyers fee live - 18% online. 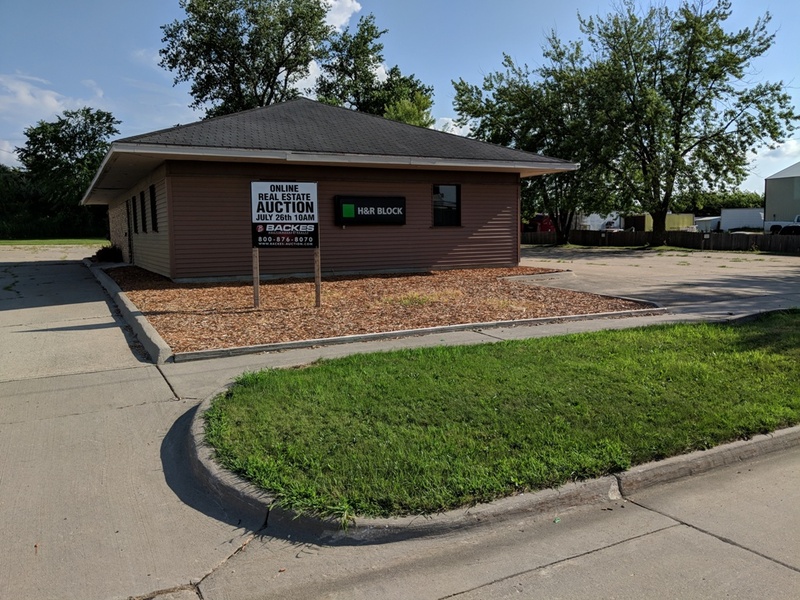 Milio's Sandwich shop in Cedar Rapids has closed and we moved this first class facility in for our monthly auction and added quite a bit more! This month will be ONLINE ONLY so pay attention! 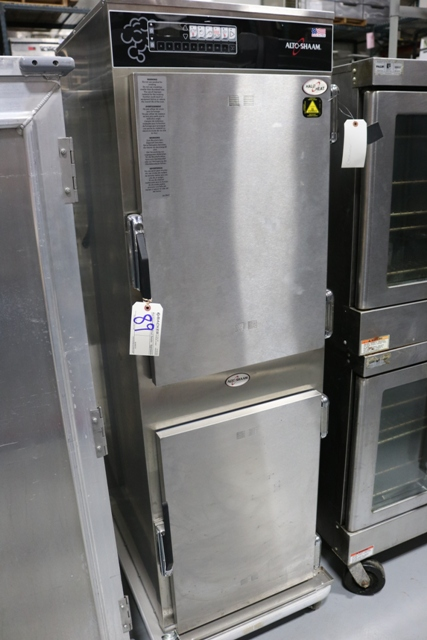 Fabulous combination walk in cooler/freezer, excellent baking and proofing ovens, 2 nice ice cubers, convection oven, meat equipment, seating and more! 16% online fee - 7% sales tax. 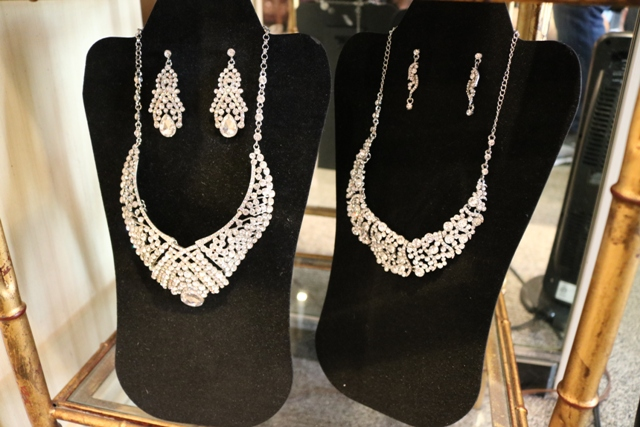 Live and Online Bidding on this FABULOUS AUCTION! Our annual Breweriana Auction! 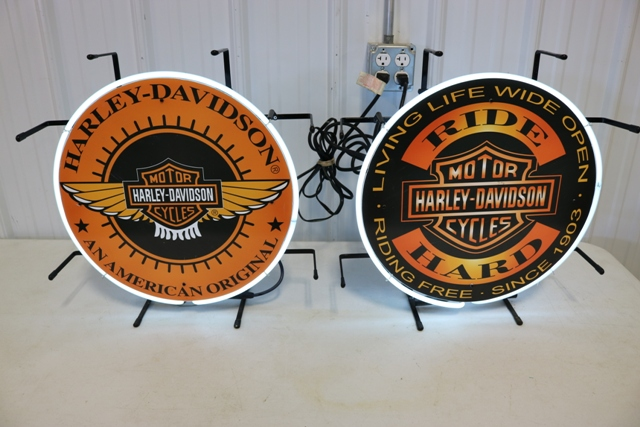 We have 30+ neon lights - 2 slot machines - pool table - guitars and amps - large paneled Harley, Schlitz and Blatz signs - name brand and collectible named: lighted signs, tins, mirrors, wall lights, hanging lights, cans, glasses and so much more! This is a fantastic offering so look close! 10% buyers fee live - 18% online. 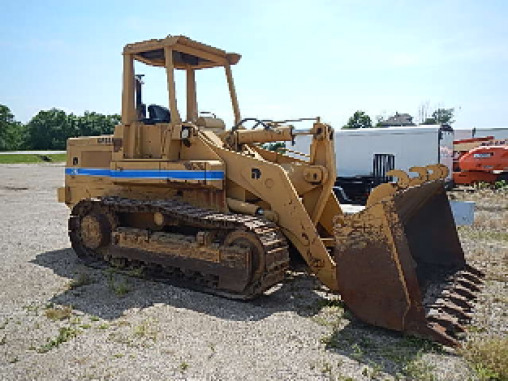 Owners have decided to close this location and offer all of the following equipment at public auction! So get registered for this online only auction and bid what you want on these 10 tanning beds, ellipticals, bikes, treadmills and workout equipment! There will be some huge deals on this auction so make sure and take a close look! 16% online buyers fee. Live and online auction. 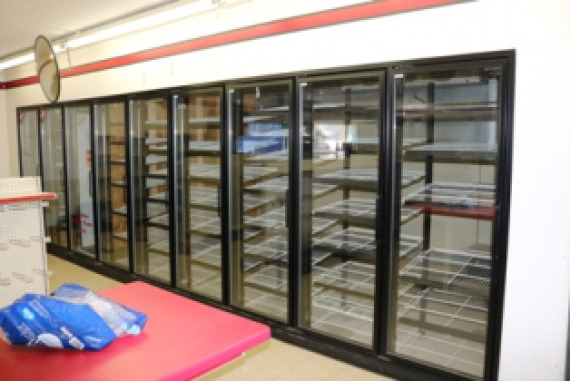 Complete liquidation of all meat, deli, pizza & grocery store equipment. Large quantity Lozier island & wall shelving! Come prepared to buy. Everything sells regardless of price. 10% buyers fee onsite. 16% buyers fee for online purchases. All of this nice quality equipment has to be sold to you regardless of price! 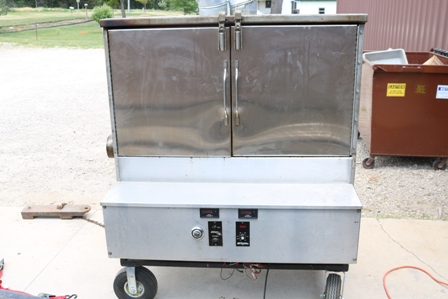 Get registered to bid what you want on this excellent line of restaurant and bar equipment! 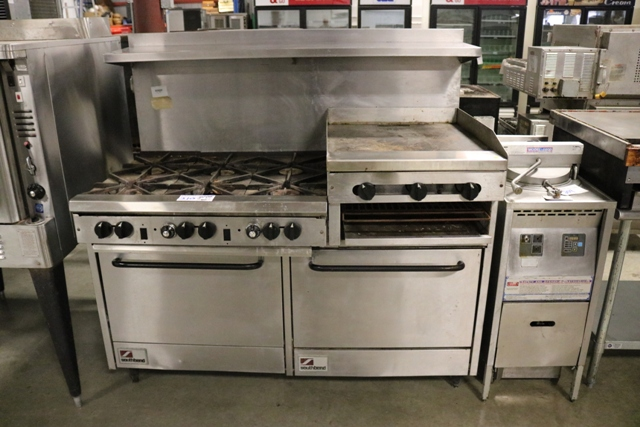 This auction features a nice grill line, refrigeration, bar equipment plus a great seating package!! Great way to update your facility! 16% online buyers fee. VIEWING: Friday, November 30th from Noon to 4 PM and then Sunday, December 2nd from 2 to 5 PM. Holy Smokes! Take a look here! This is the day 1 of 2 auction. We had to move this to our auction facility just to make room up there! This will be an amazing offering of 15 roll away tool boxes, Vidmar cabinets FULL of Snap On - SK - Williams - Blue Point and other hand tools and specialty machine tooling! Plus power tools, wood working related, electrical related, plumbing related, hydraulic related and inventory to make it all! Some if this is brand new! 16% online buyers fee. Day 2 of 2 auction. 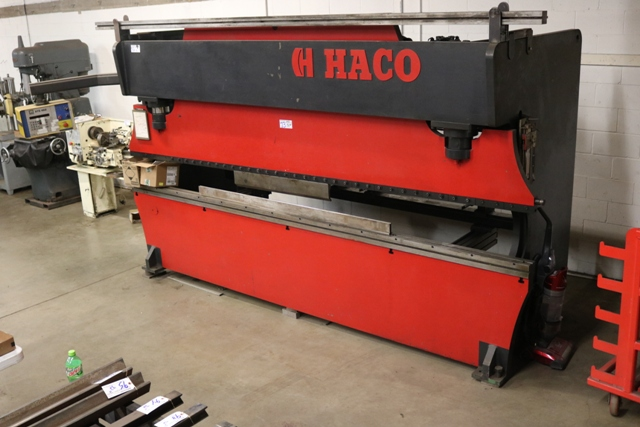 This auction features: Drill presses, arbor presses, 2 pipe benders, mig welders, electrical related, Overhead gantry, 2 forklifts (as is), custom built knife sharpener, horizontal band saw, nut and bolt bins, portable industrial tables and so much more! You do not want to miss this one! Quality equipment throughout! 16% buyers fee. 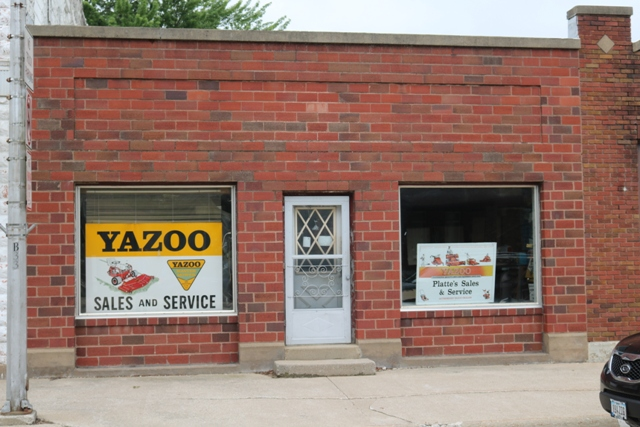 Local business has 400 feet of Lozier island & wall shelving for sale. Owner is motivated to sell. 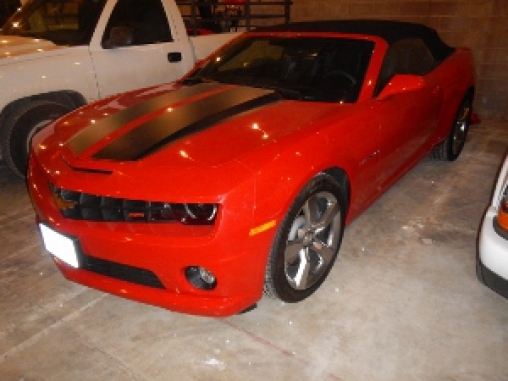 Call Randy at 319-226-5830 for details. 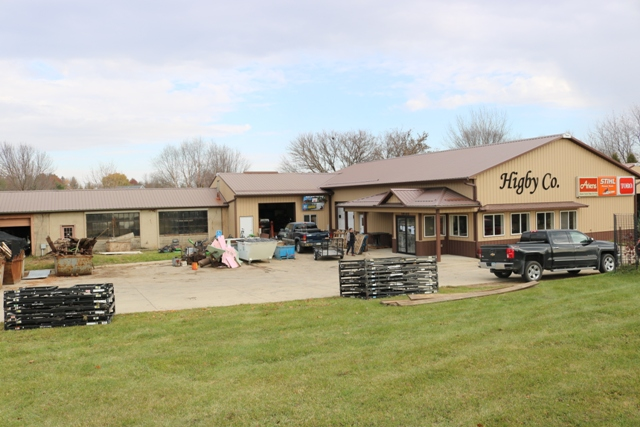 We are honored to have been selected by Patricia Higby to offer to you the entire contents of the Higby Co operated by the Late John Pritchard Higby. 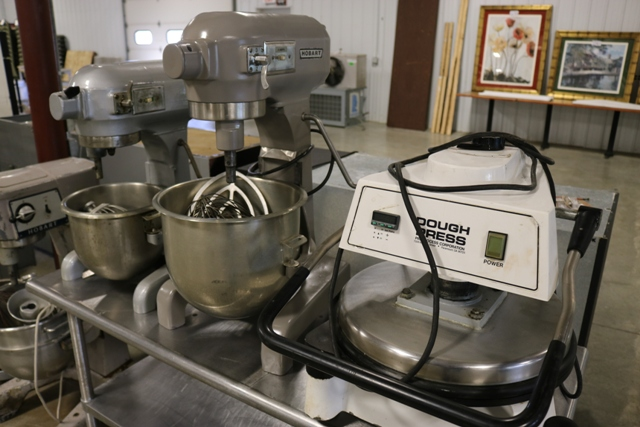 This company has been in operation for decades and a staple in the Cedar Falls Community. The property has been sold and they have to sell it all to you at public auction! 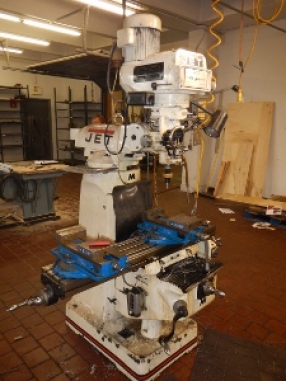 A large offering of machine shop equipment, hand and power tools, lawn mowers, inventory, skid loader and so much more! Detailed list coming soon. 16% online buyers fee. Late Notice -First Class Auction! Year End Sale! Management said sell it - instead of inventorying it! 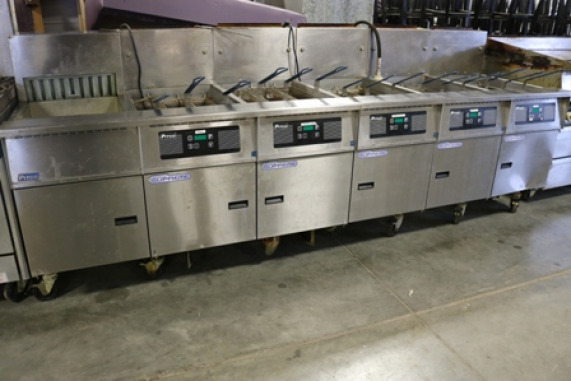 Hockenberg's Food Service Equipment will be offering this high quality equipment at auction. They need the room and it all has to be sold regardless of price! 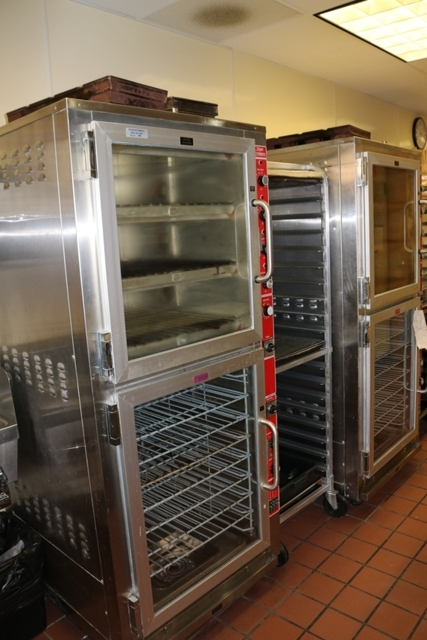 Some New Equipment - some Rare equipment - but all in all a great lineup of food service equipment! 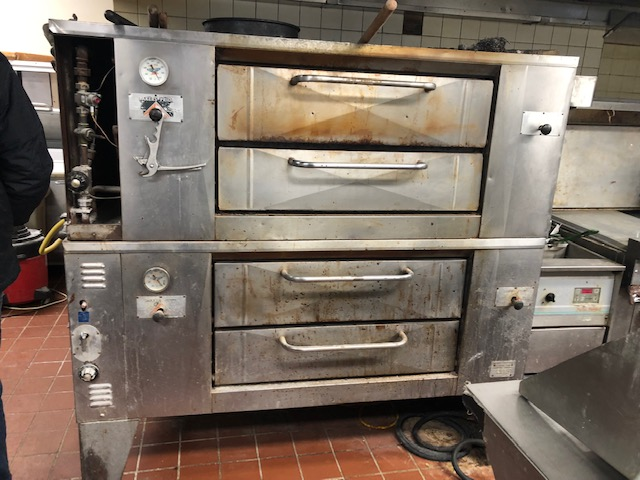 Featuring: Alto Shaam mixer ($80k new), Alto Shaam cook/hold and smoker, 2 Hobart mixers, several pizza ovens, grill line equipment and great refrigeration! 16% buyers fee - 7% sales tax. ON LINE ONLY AUCTION. Anyone looking to upgrade their refrigeration must pay attention to this great sale. 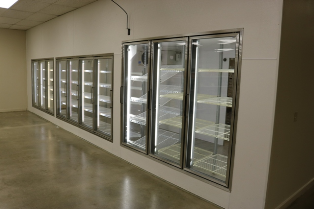 Offering late model cooler & freezers. Awesome walk in cooler/freezer combo, great line of kitchen equipment and more! This sale offers something for everyone. 16% buyer’s fee. Sales tax applies to all purchases. 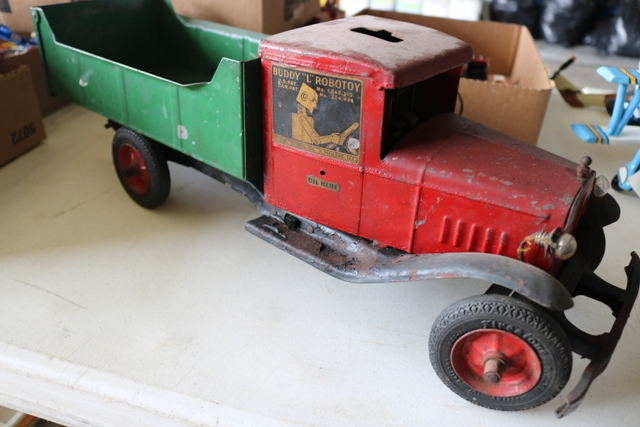 Huge Auction - Hunting, Fishing, Rail Road Collectibles, Toys, Petroleum & More! Brings Firends! Running 2 Auction Rings! VIEWING: Friday from Noon to 4 PM. We turned a two day auction into one fantastic auction! This is one not to miss! 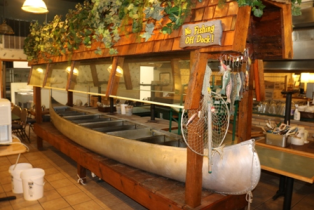 Featuring 20 long guns - hundreds of fishing poles, reels, lures and more plus a great line of Petroleum Collectibles, Rail Road Collectibles, large offering of toys, tractors and pedal cars and so much more! Just a great January Auction! Make plans to spend the day! In association with Kastli Auctions. 10% buyers fee. VIEWING: Sunday from 1 to 4 PM. Come on out to the Live Auction OR you can bid Online as well! Advance Notice of this full service, high end restaurant & lounge auction. 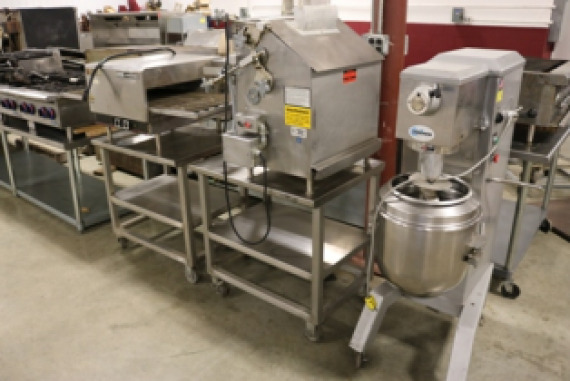 This auction features: 2) 12' hoods, combo walk in cooler, ranges, fryers, convection ovens, mixer, stainless work tables and sinks, catering, bar and lounge equipment, seating and more! Look at pictures for now - detailed list coming soon! 10% buyers fee live - 16% online. Building has been sold! We sold out this facility earlier in 2018 and these items are left here and need to be sold no matter the price! 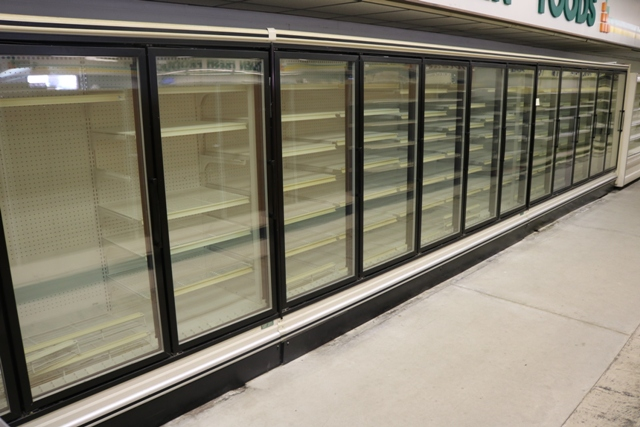 Featuring 6 and 12 glass door freezers with newer compressors - 2014 meat and dairy cases and also some island shelving. Only about 15 total lots but very nice equipment to be sold! 16% buyers fee. Online Only Auction. 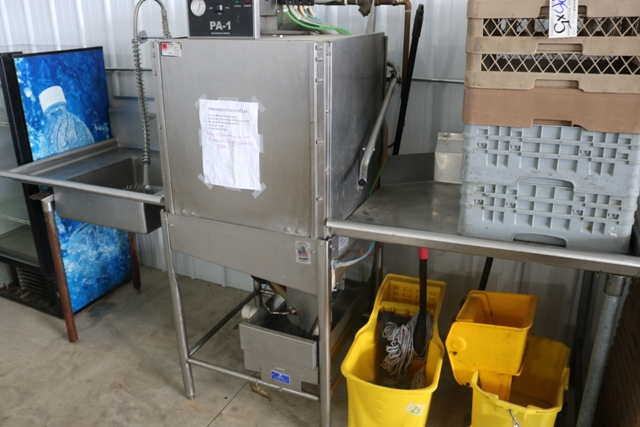 Complete liquidation of all excellent, clean bar & restaurant equipment. 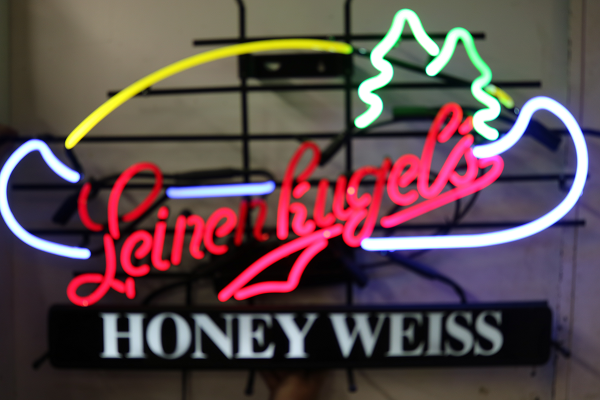 Offering a great selection of neon beer lights, lighted signs & metal wall tins. Also offering great line of bar & kitchen equipment. 16% buyer fee. Viewing: Sunday January 27th from 1:00 pm to 4:00 pm. Removal by Wednesday January 30th. No exceptions! Online Only Auction. 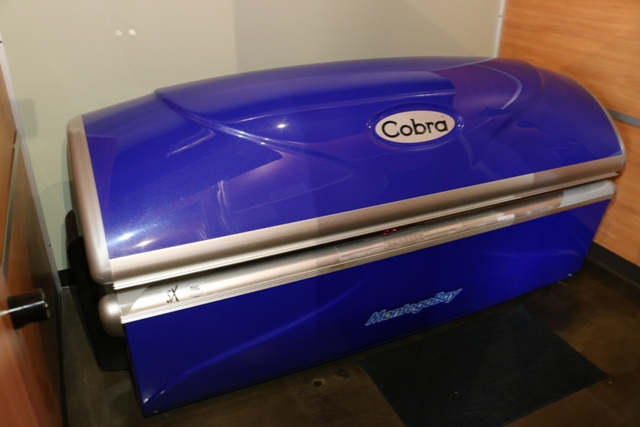 Owners have decided to expand their fitness center and take out and sell all of the 10 tanning beds! There are only 18 lots on this auction so make sure and bid on time! 16% online buyers fee. Selling for the late Jim Fischels. 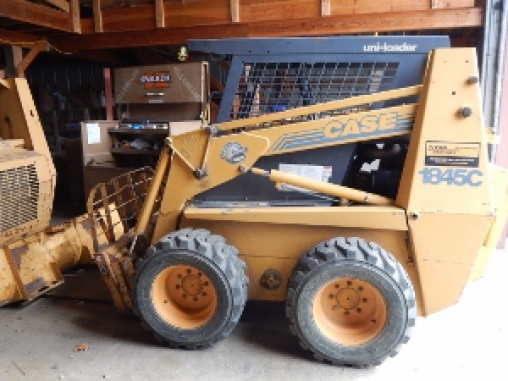 Take note of this very nice equipment auction with a like new Skid Steer with only 98 hours! 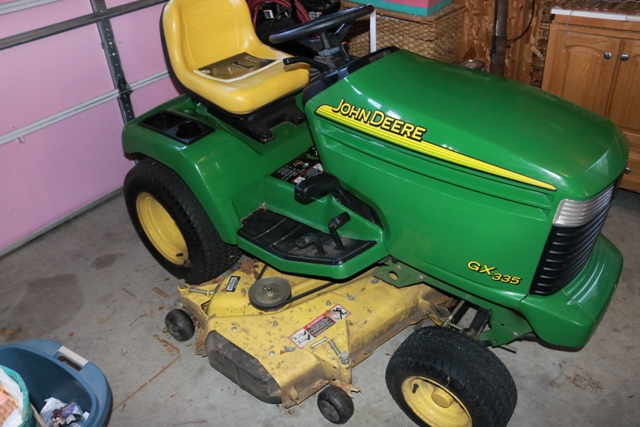 Plus a nice JD Gator, lawn mower, zero zone mower, log splitter, tool cabinets and tools and much more! Going to be a good auction! Take note of the 9 AM start time! 10% buyers fee. Many items less than 3 years old! Online Only Auction. 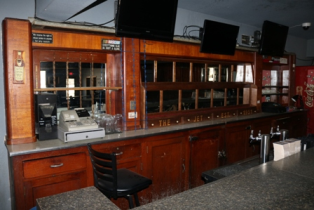 Complete liquidation of this 120-seat bar & restaurant loaded with excellent equipment. Many items less than 3 years old! This sale offers something for everyone. Mark your calendars & save the date. 16% buyers fee. Viewing: Sunday February 17th from 1:00 to 3:00 pm. Owners have closed this facility and need to sell it all and have removed by the end of February. Very nice line of over 90 sections of pallet racking as well as 2 wrapping systems, 2 Clark stand up lifts, warehousing and more! If you need pallet racking, this auction is for you! 16% online buyers fee. 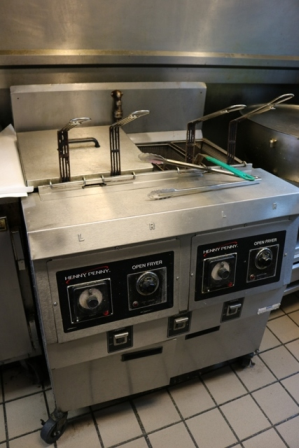 Complete liquidation of this 60-seat restaurant loaded with excellent, clean equipment. Don’t purchase new until you bid on this sale. All equipment must be removed by Wednesday February 27th. No exceptions. 16% buyer’s fee. Viewing Monday February 25 from 1:00 to 3:00 pm. WOW! Take note of this rare opportunity to purchase indoor sporting related at auction! 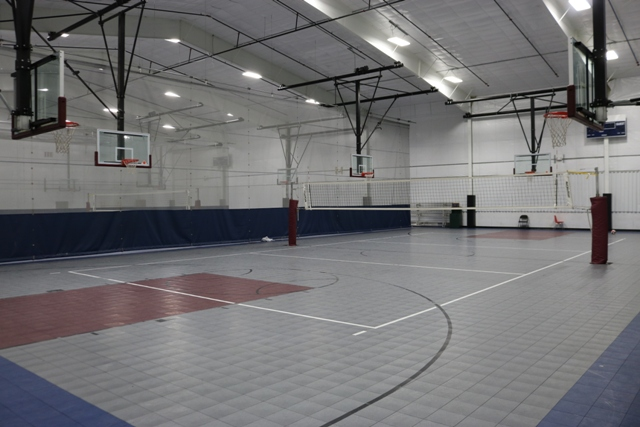 Featuring: 3 portable indoor courts - 10 basketball hoops with supports - Volleyball nets - bleachers - Plus a complete full service 200 seat bar and restaurant with excellent seating, ice machines, bar equipment, TV's, stereo equipment and grill line. 10% buyers fee at the live auction and 16% for online bidders. 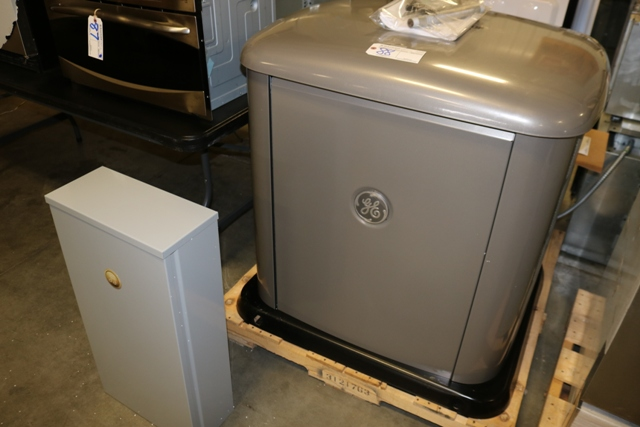 Two Semi Loads of New - Like New or Scratch & Dent Appliances! Stainless refrigerators - JennAir Hi End gas ranges - GE generators - microwaves - hoods - built ins and more! 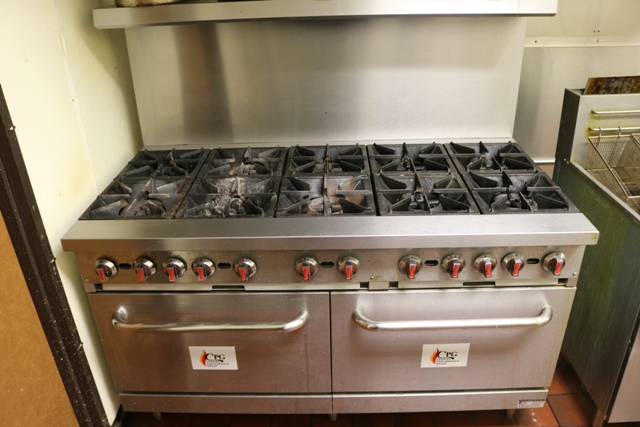 HUGE opportunity to buy hi quality appliances at auction! Complete list coming next week! 10% buyers fee Live and 16% online - 7% sales tax applies. Online bidding only. Small offering but Hi Quality! 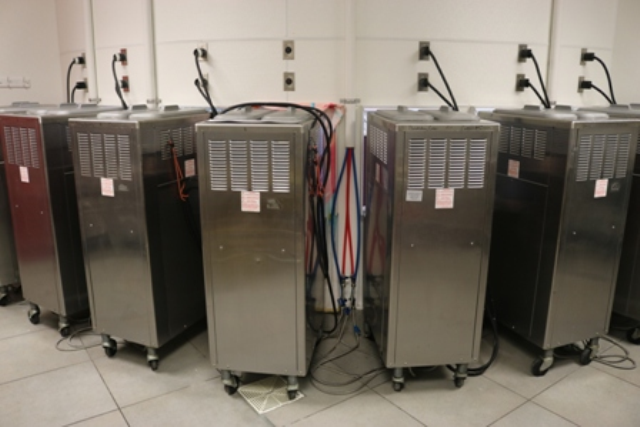 Take a look at some hi end audio equipment brought in from local casino. Be sure to place your max bids or be on time when the lots start to close because this one will not take but a half an hour to sell! 16% online buyers fee. 7% sales tax applies. 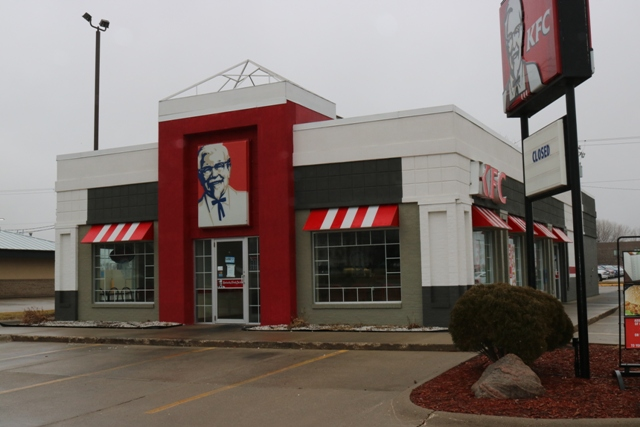 Complete liquidation of this 9,500 sq. ft building loaded with welding & fab equipment. 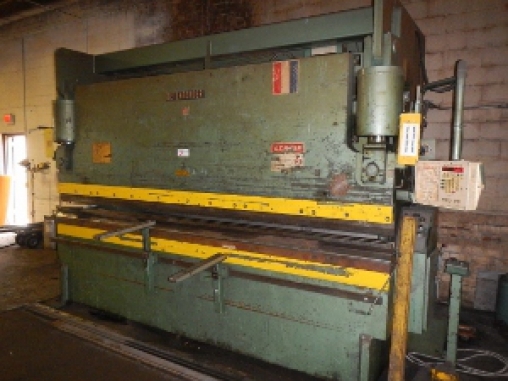 Sale offers a 135-ton press brake, plasma cutter, fork truck and lathes. Save the date! This sale offers something for everyone. 16% buyer fee. Viewing Friday March 15th 9:00 to 4:00 pm. Monday March 18th from 9:00 to 4:00 pm. 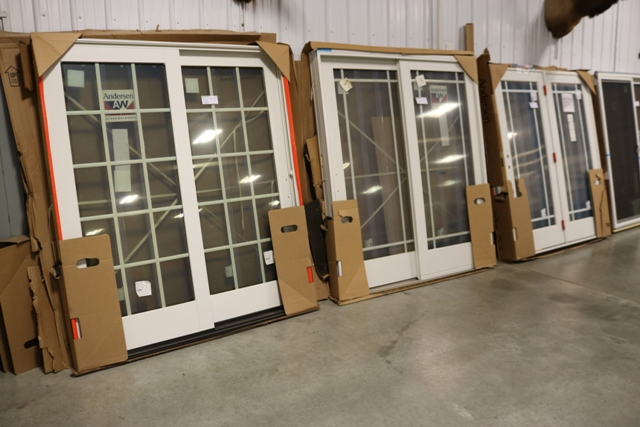 New Windows - Plus hand and power tools & more! WOW - This one got large quick! 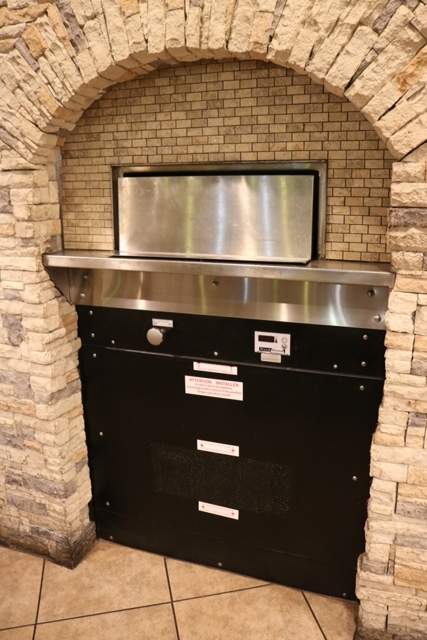 Full restaurant moved in from Des Moines, Iowa with pizza, seating and bar equipment so we added that into our monthly great line of refrigeration, pizza and grill line equipment! 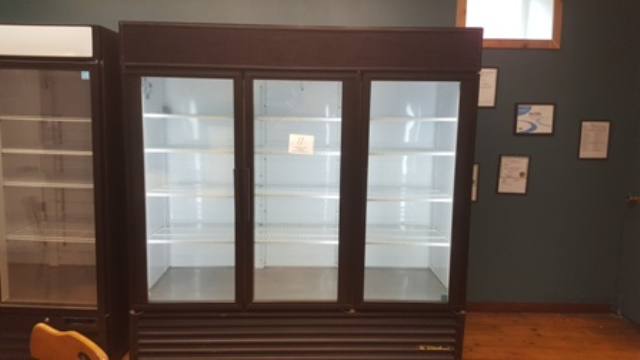 Slate deck and conveyor pizza ovens, Hi dollar Hobart baking oven, Hobart and Univex mixers, good line of coolers, freezer and ice cubers plus some very nice chairs and booths! 10% Live buyers fee and 16% online buyers fee. 7% sales tax applies. VIEIWNG: Tuesday from 3 to 5 PM. 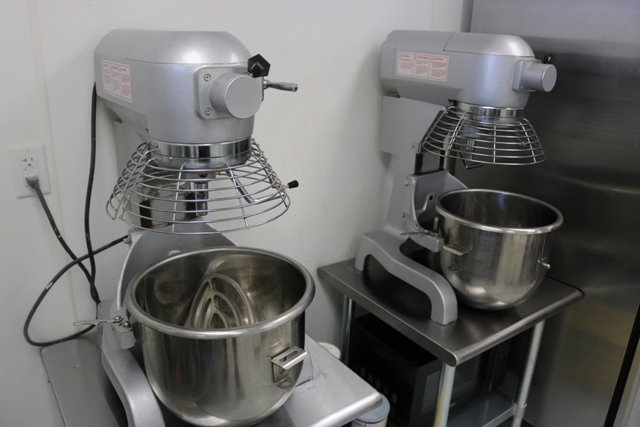 Owners have decided to close this newer location and auction off all of the following assets. 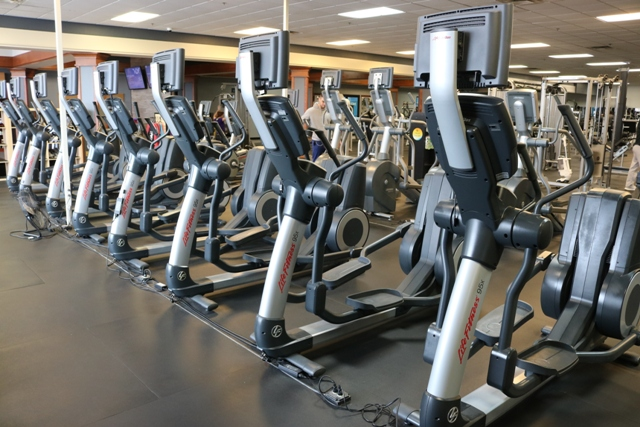 This facility is only several years old and the equipment is in fantastic condition! This is what you are looking for! 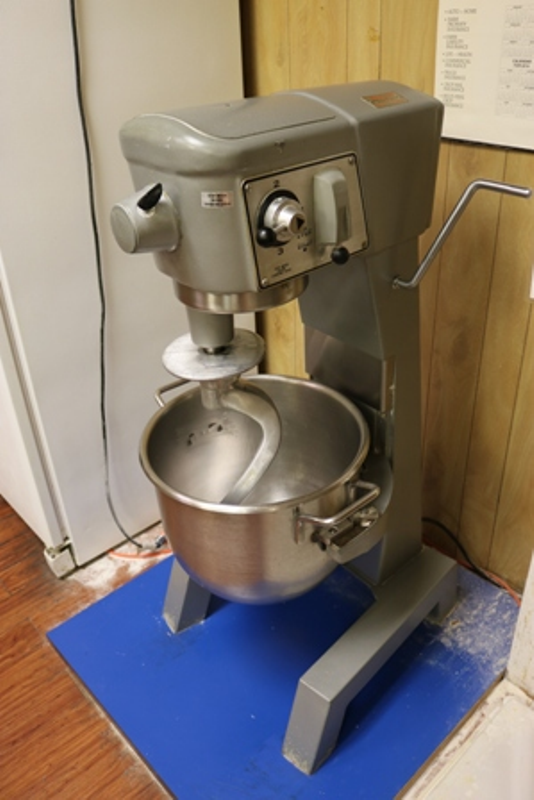 Very nice seating and refrigeration, Hobart Legacy 20-quart mixer and so much more! 16% online buyers fee. WOW! All purchased new in 2016! 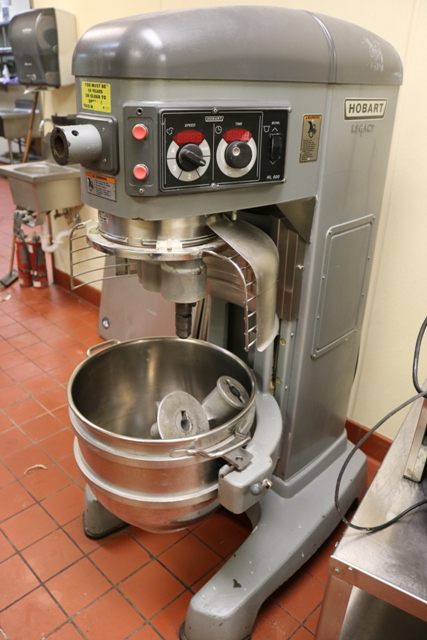 Amazing opportunity to purchase like new equipment at auction prices! 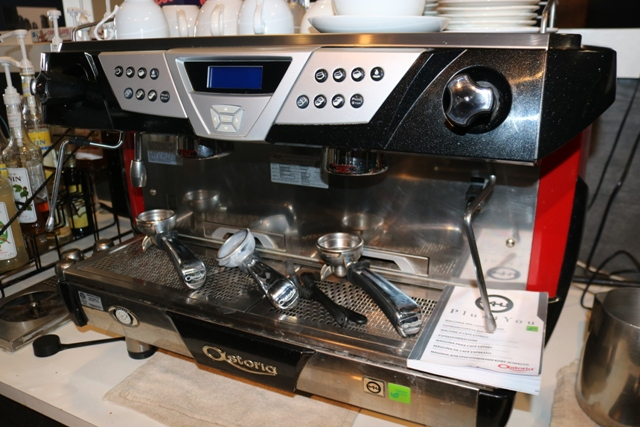 Featuring Ostoria 2 bar espresso, espresso grinders, coffee brewers and grinders, Stoelting Granita machine, coolers, ice maker plus a high end IPAD POS register system! 16% buyers fee. Viewing Wednesday from 1:00 to 4:00 PM.